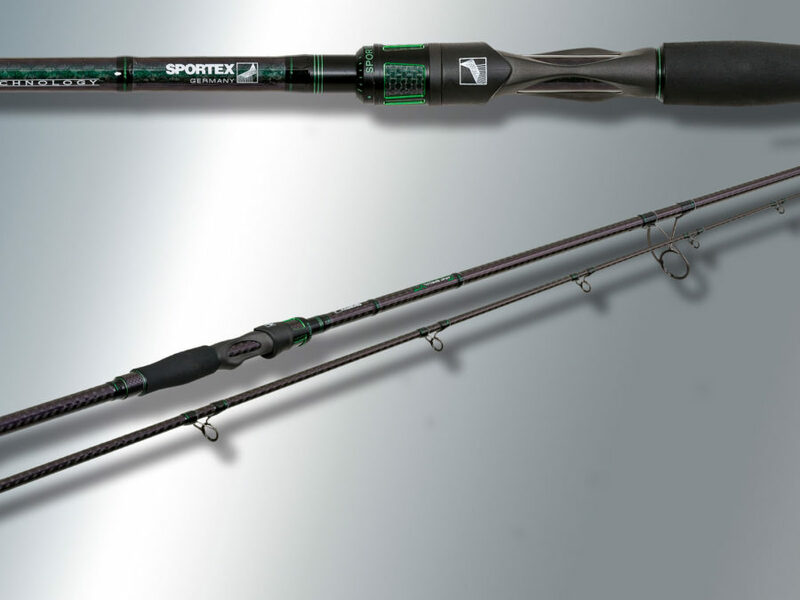 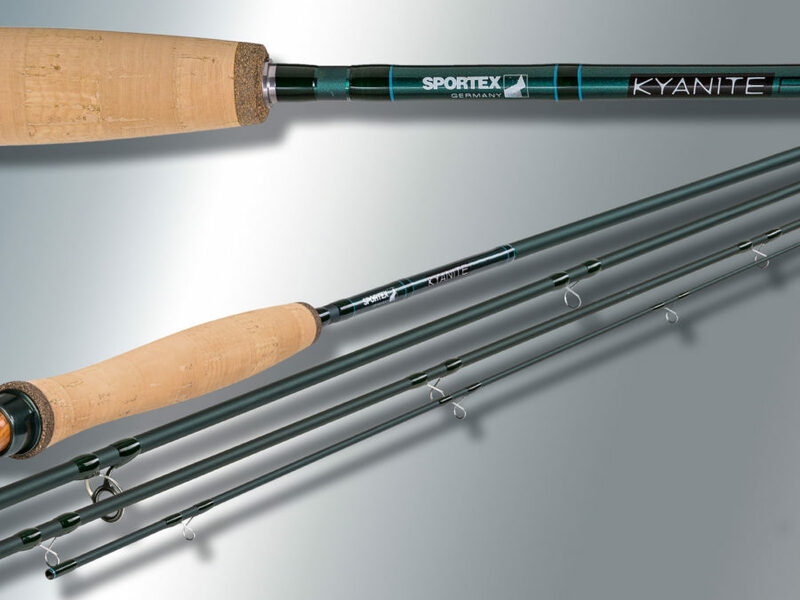 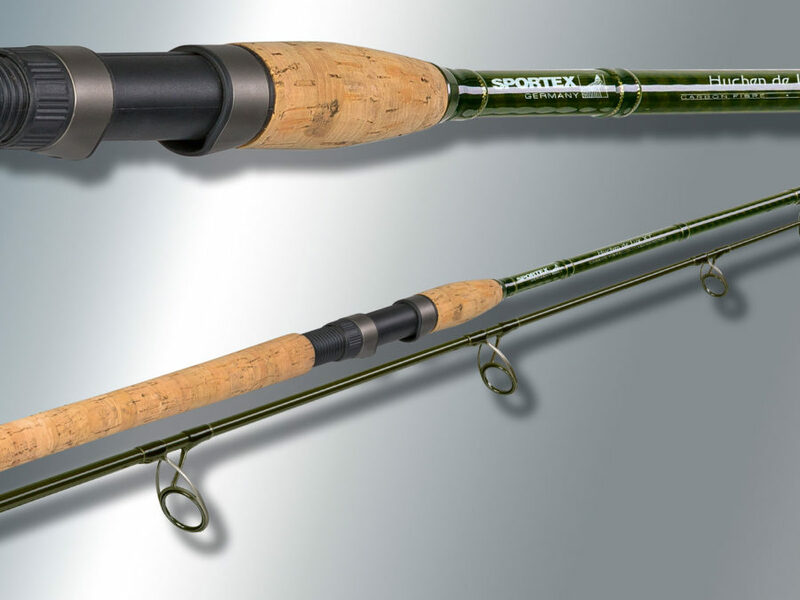 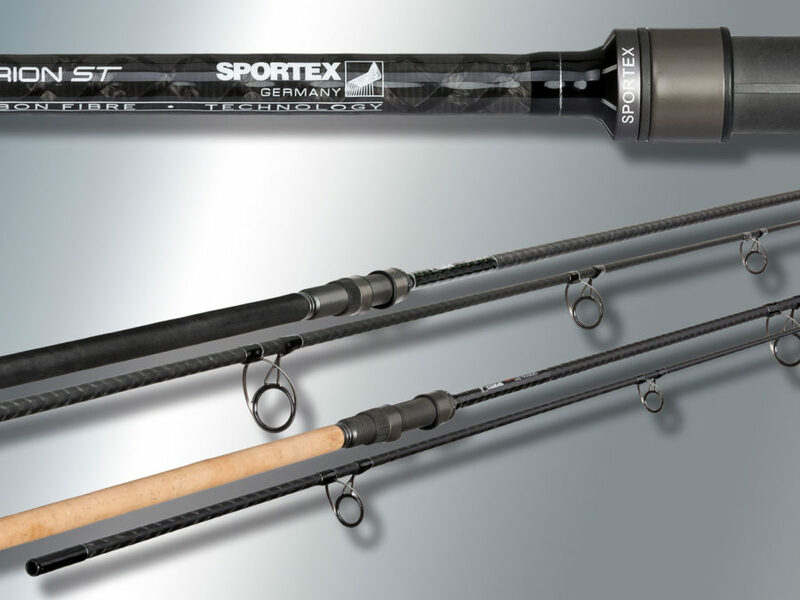 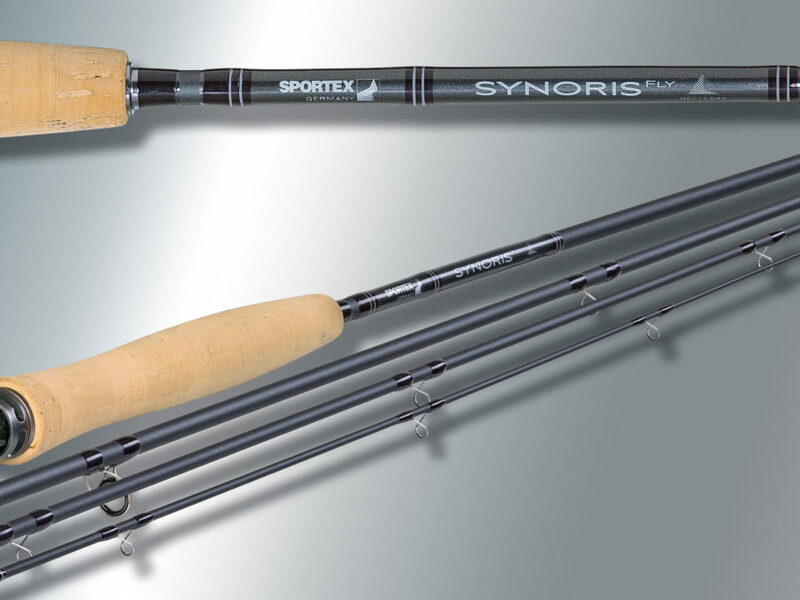 SPORTEX Spinning rods – Dynamics Specialists Love. 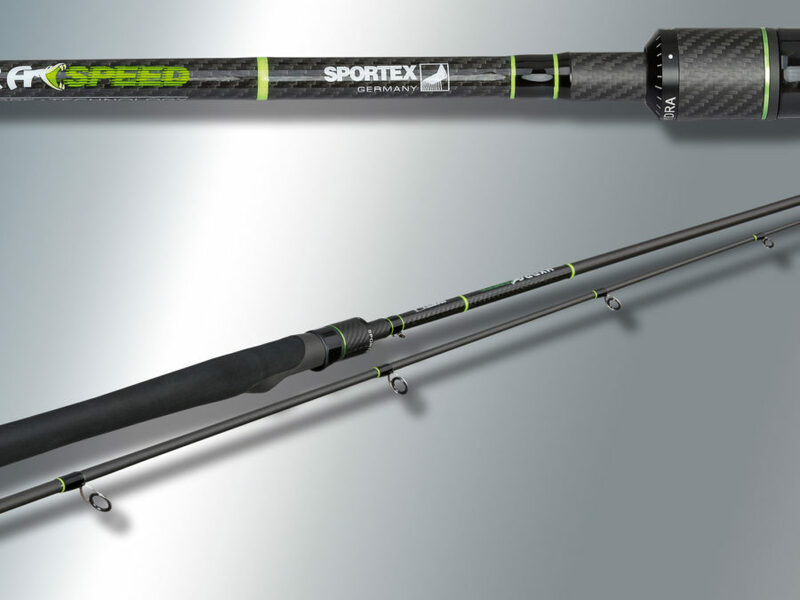 Lightness, speed and tremendous dynamics. 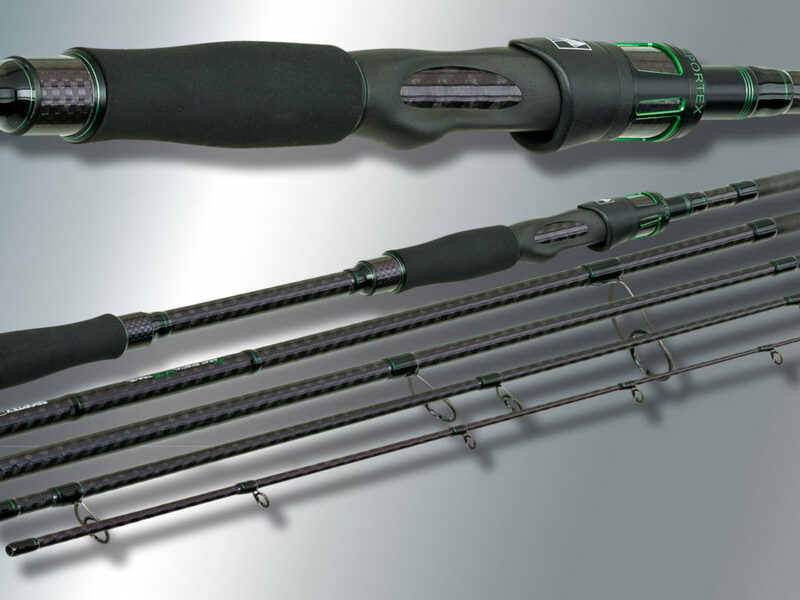 That’s what really sets our rods apart. 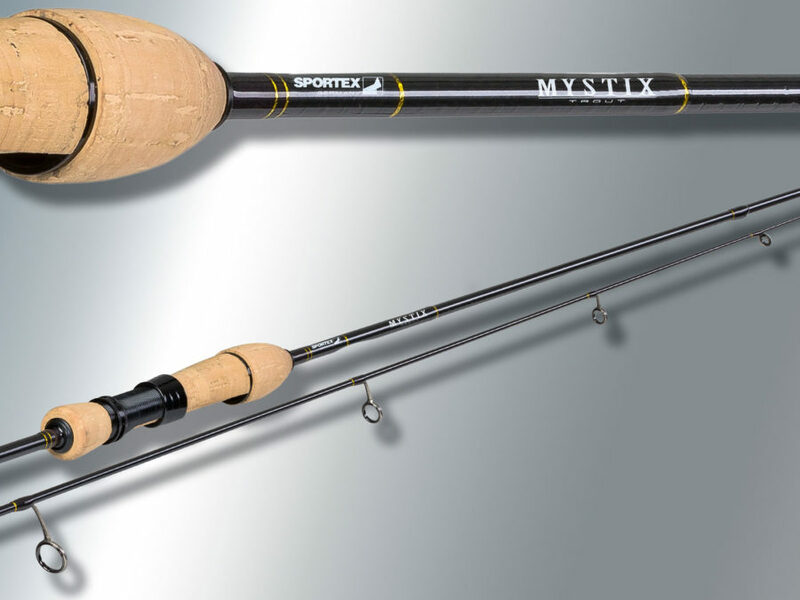 Casting and fishing is their mission and rhey reach perfection. 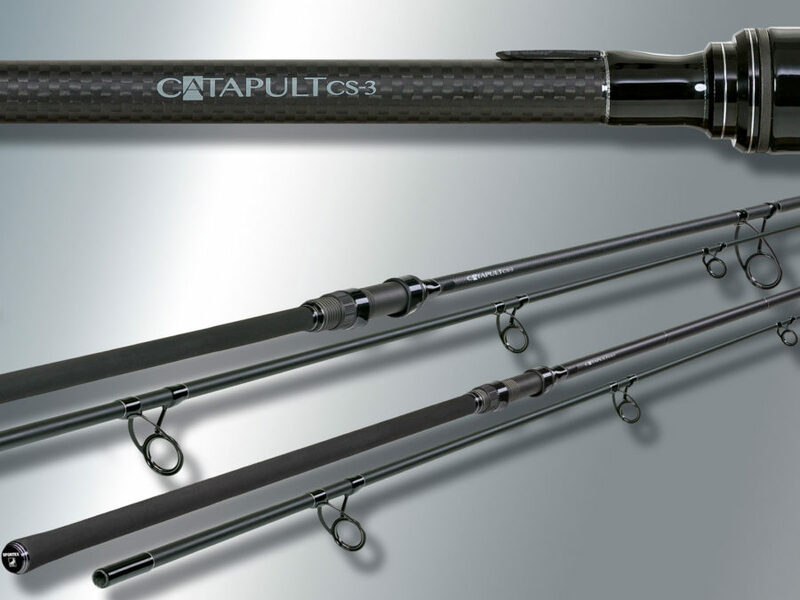 Fatigue-free casting, direct contact and excellent control is what these super slim blanks perform at its best! 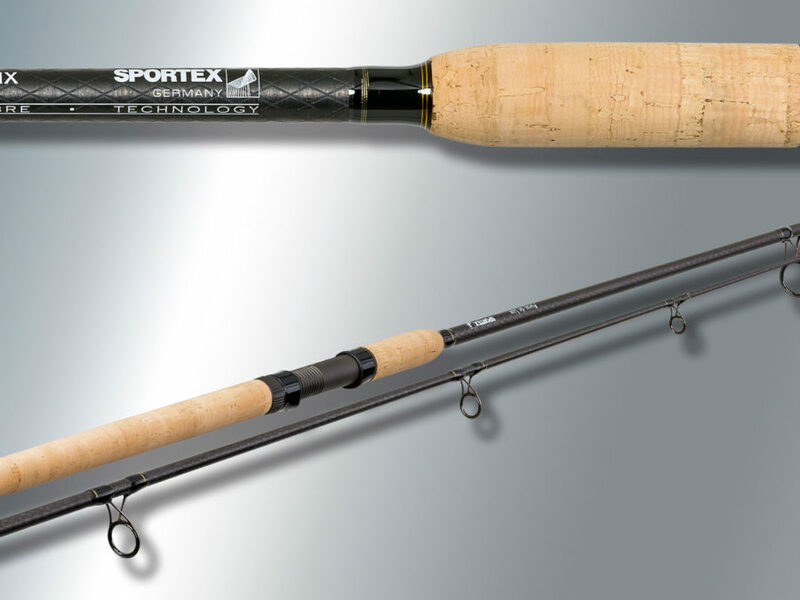 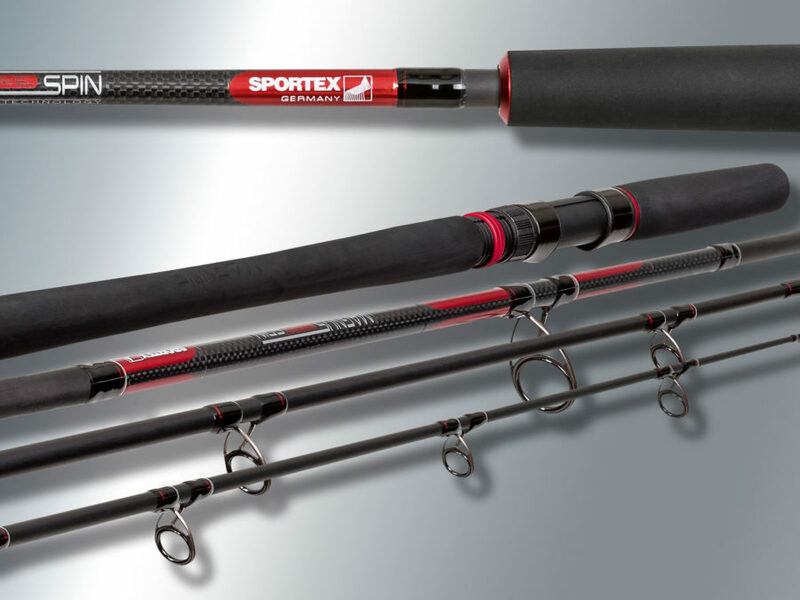 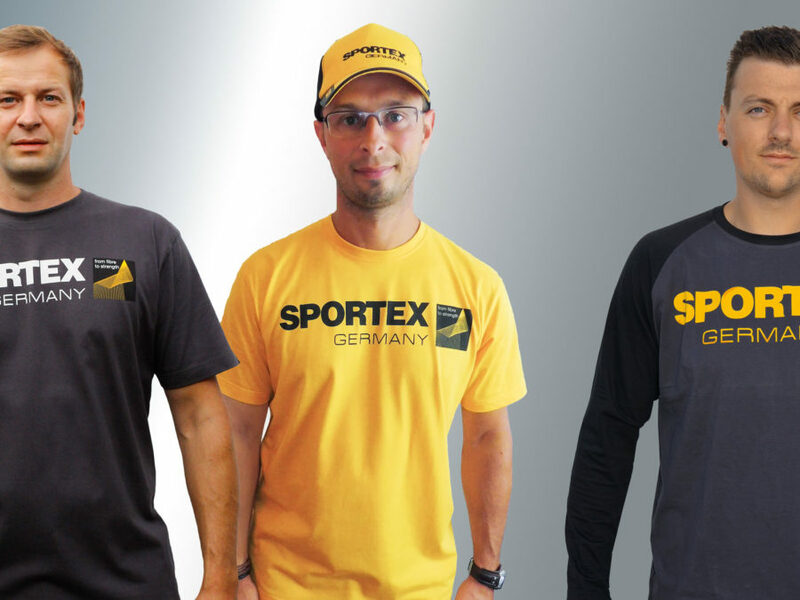 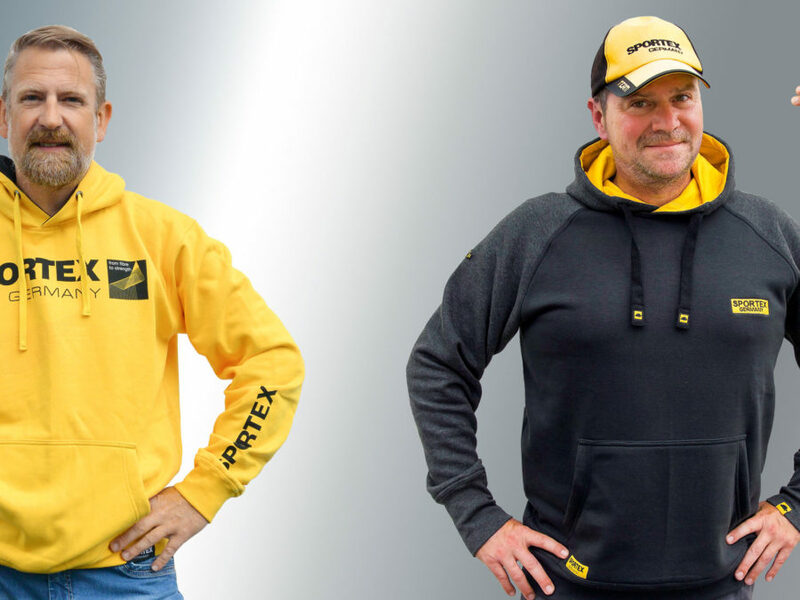 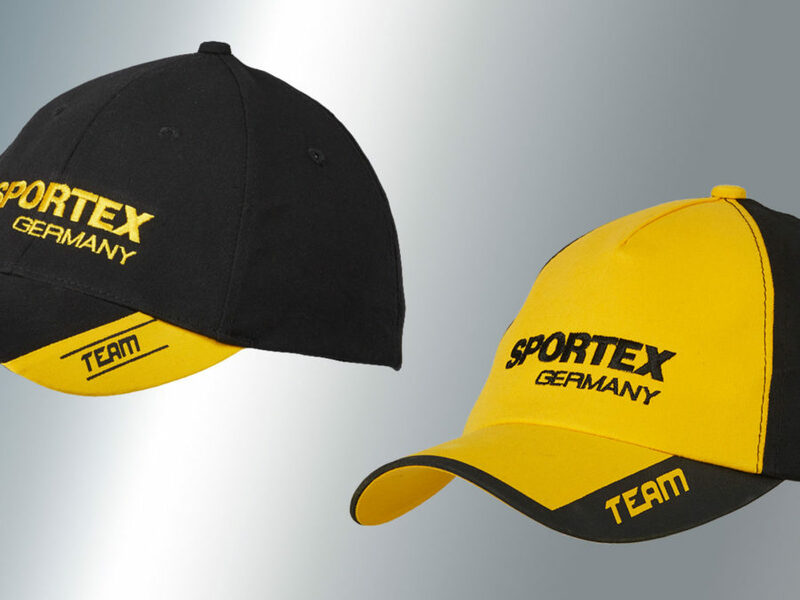 Rivers, lakes or even sea – catch a real big one and your SPORTEX will do the job for sure. 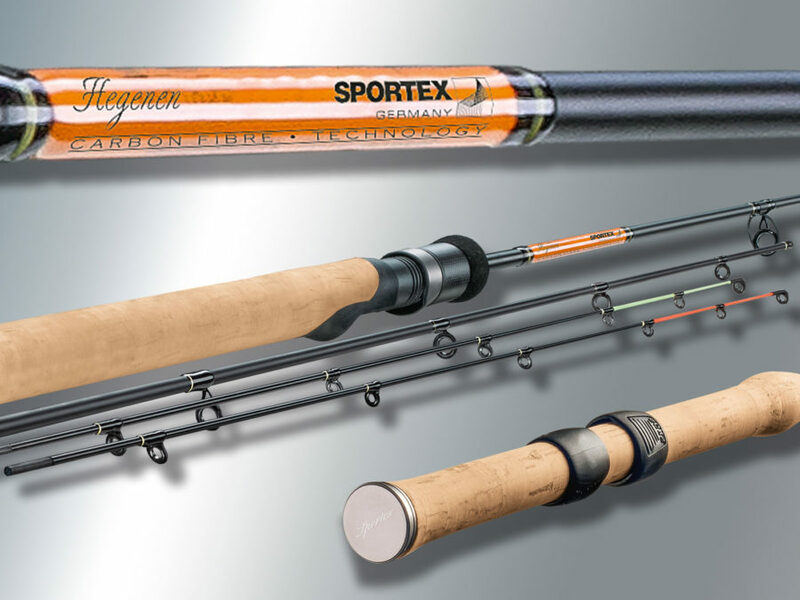 Look out for the Absolut and Hyperion series in particular. 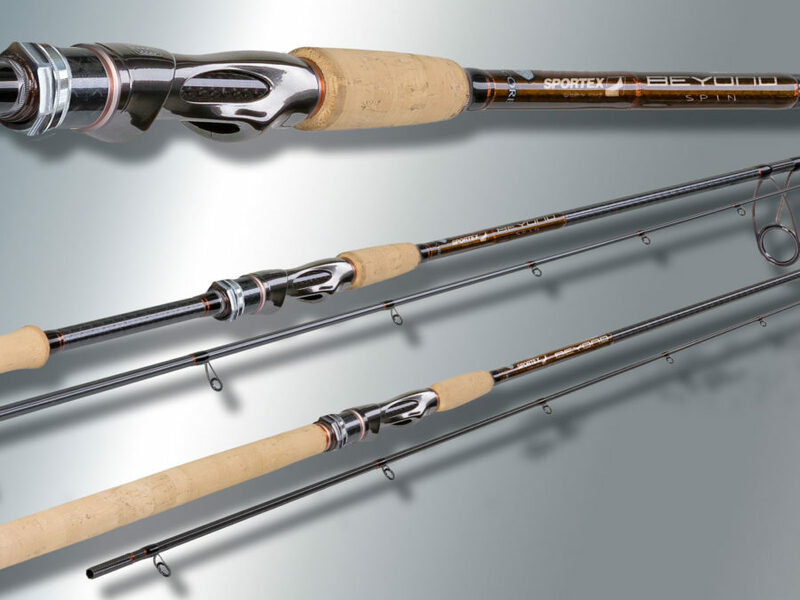 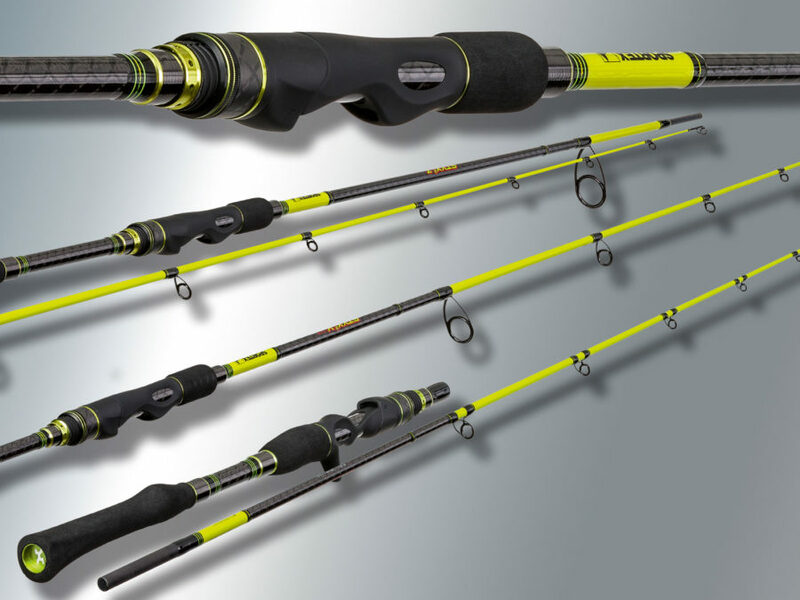 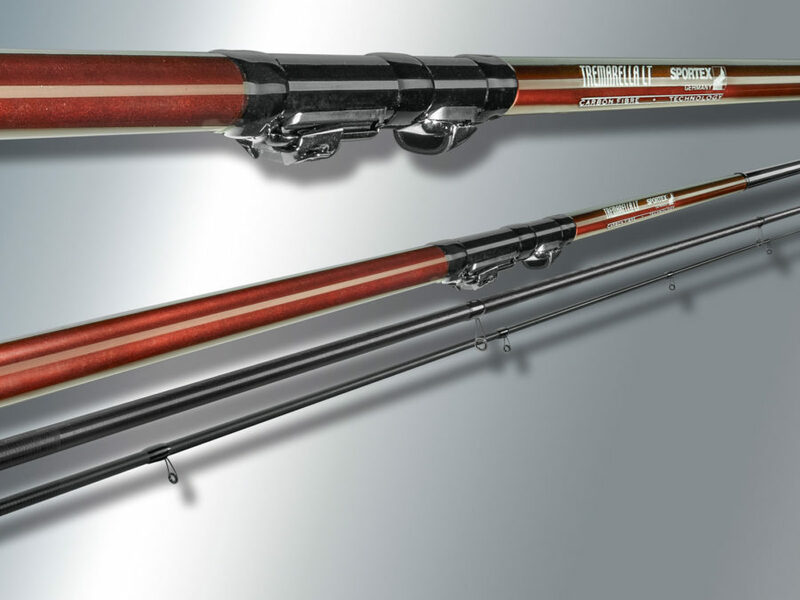 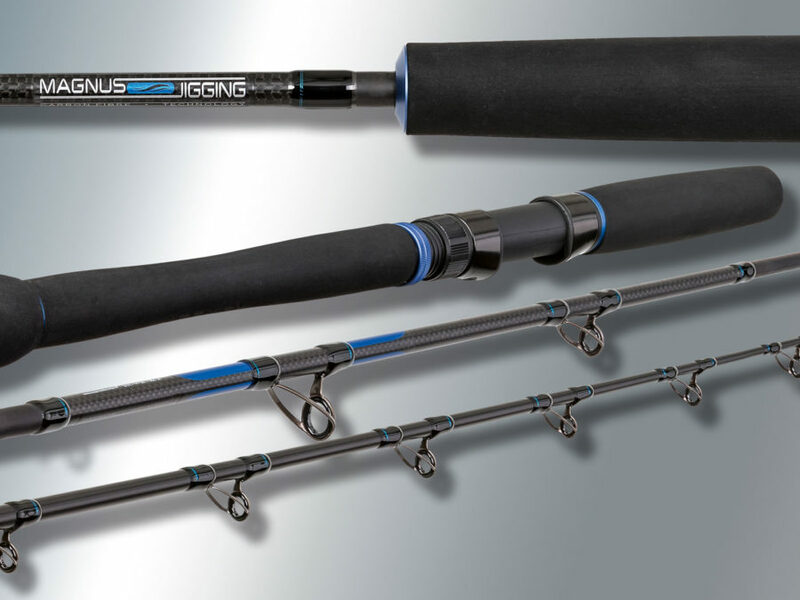 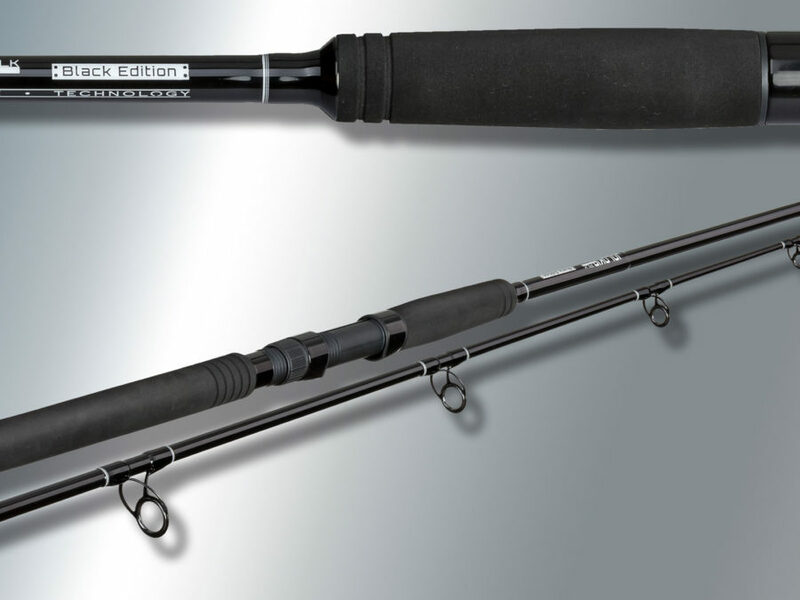 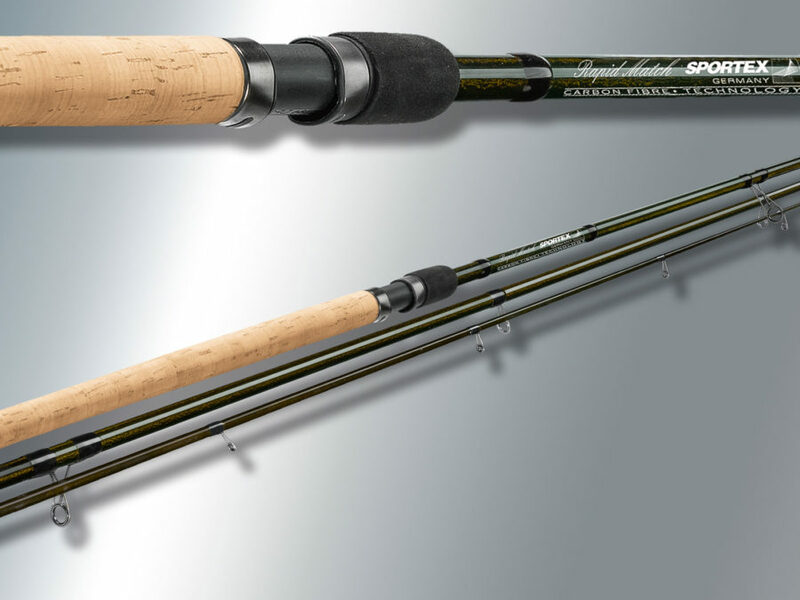 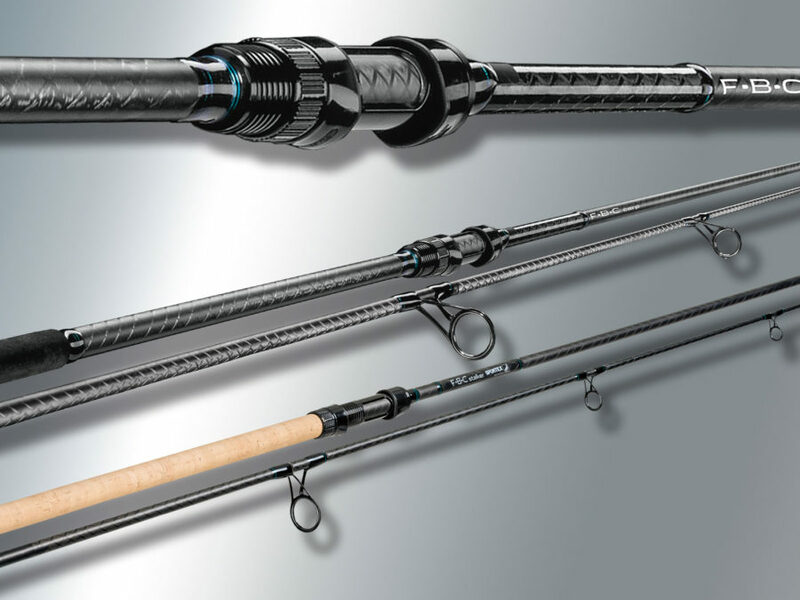 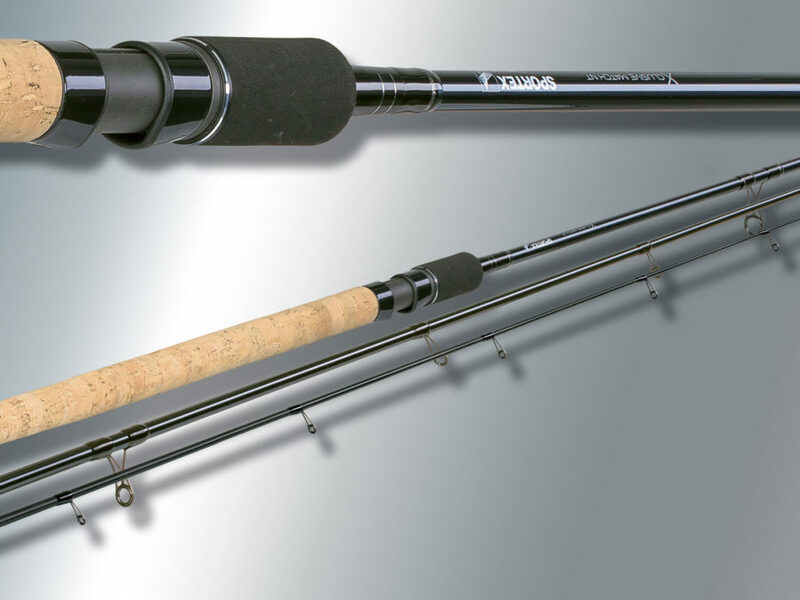 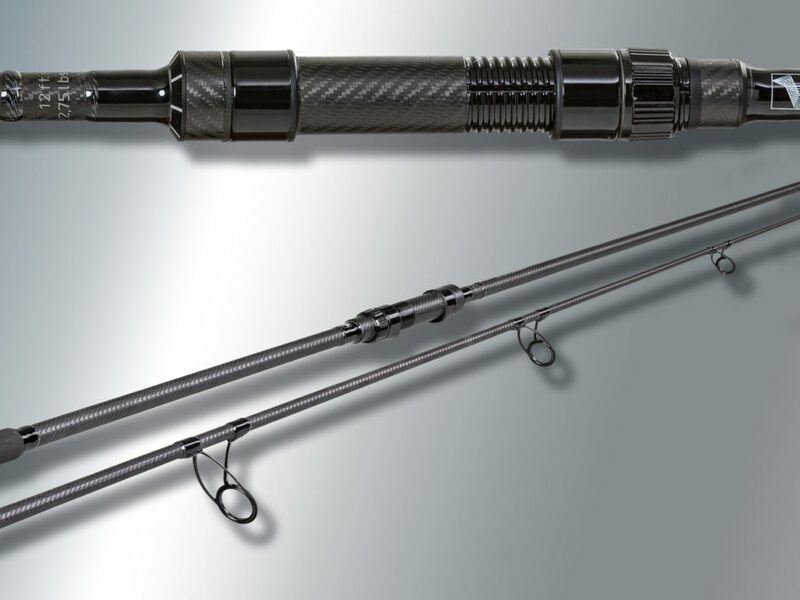 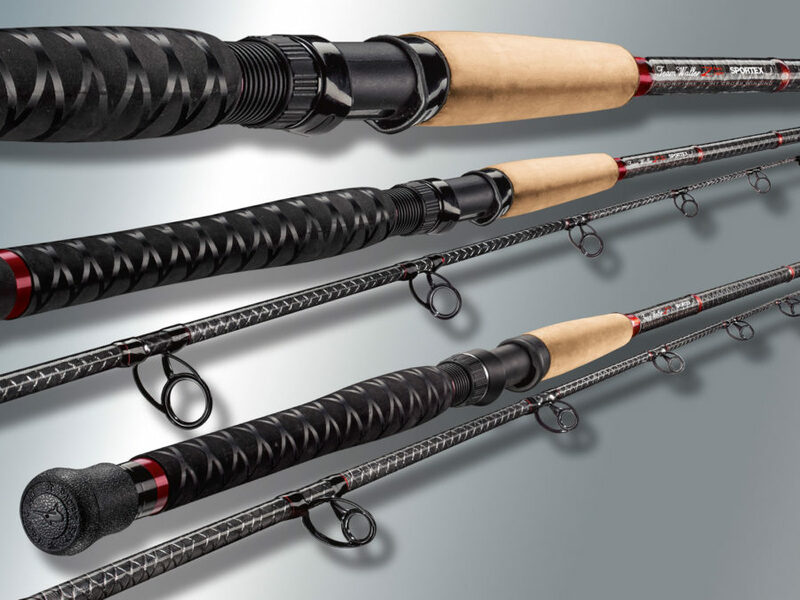 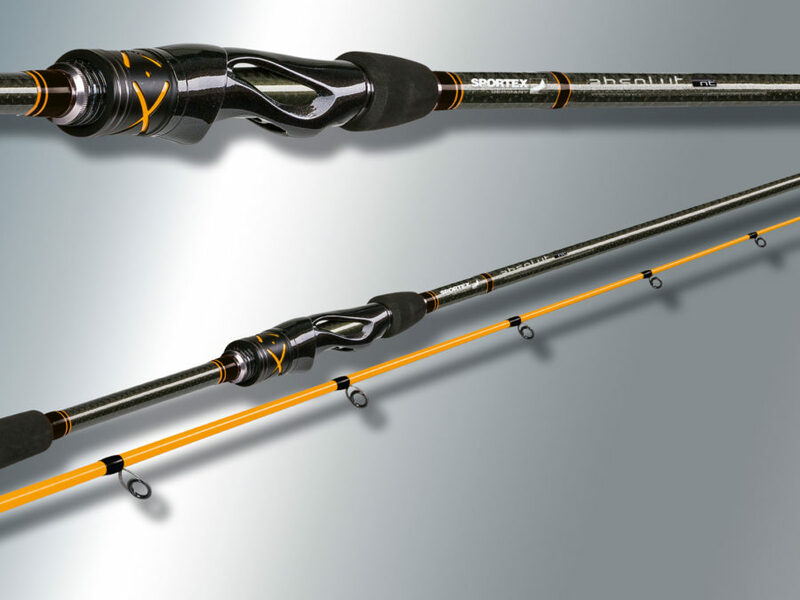 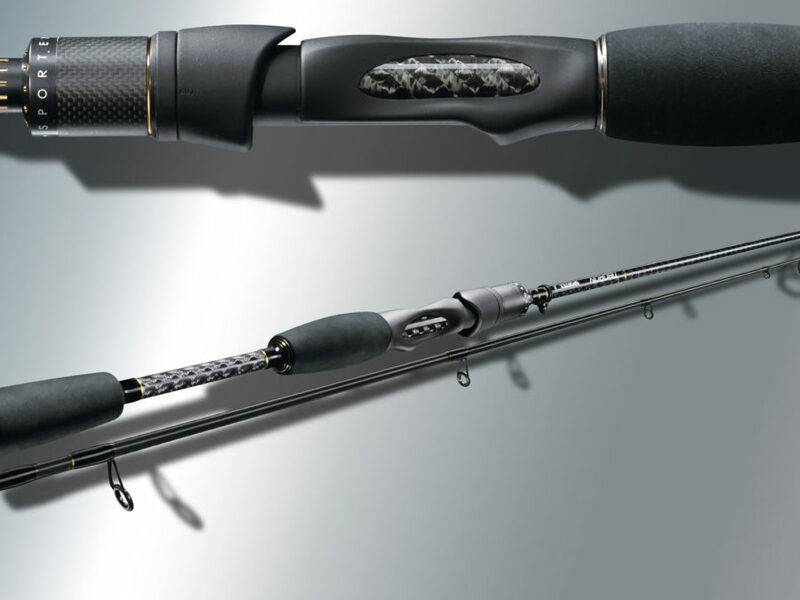 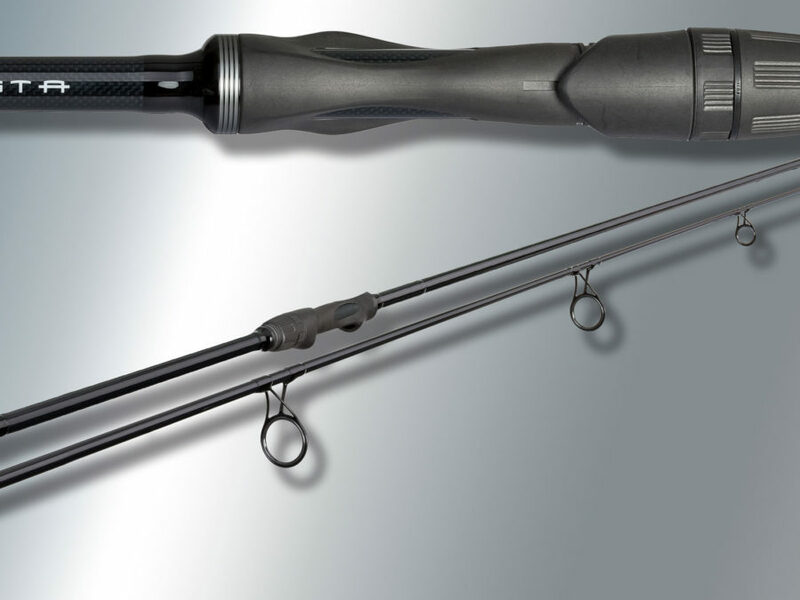 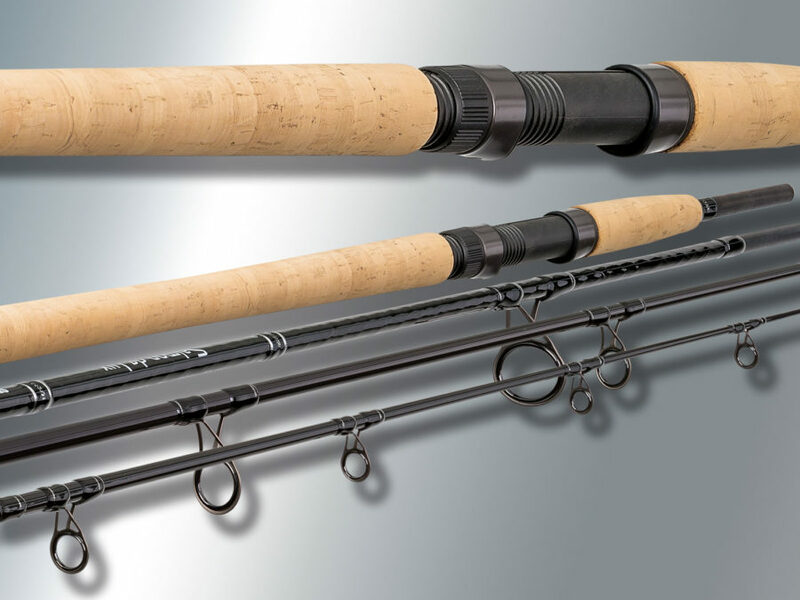 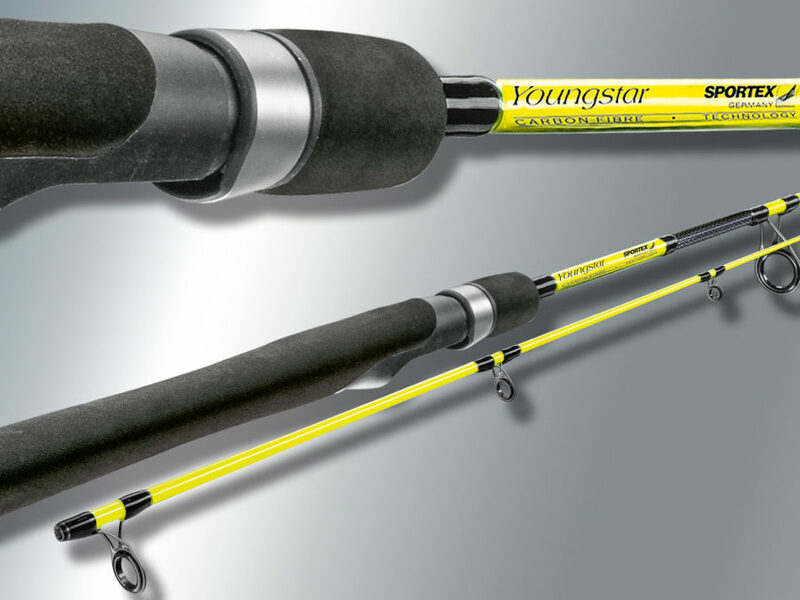 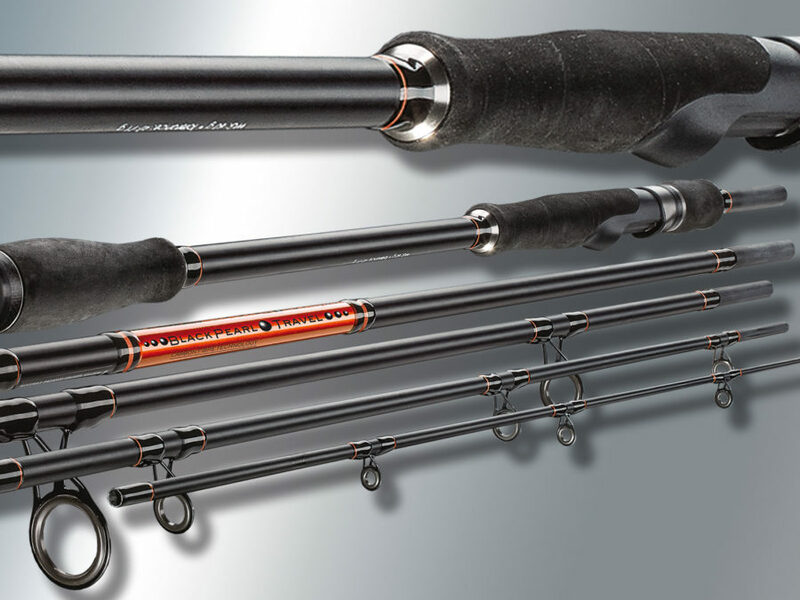 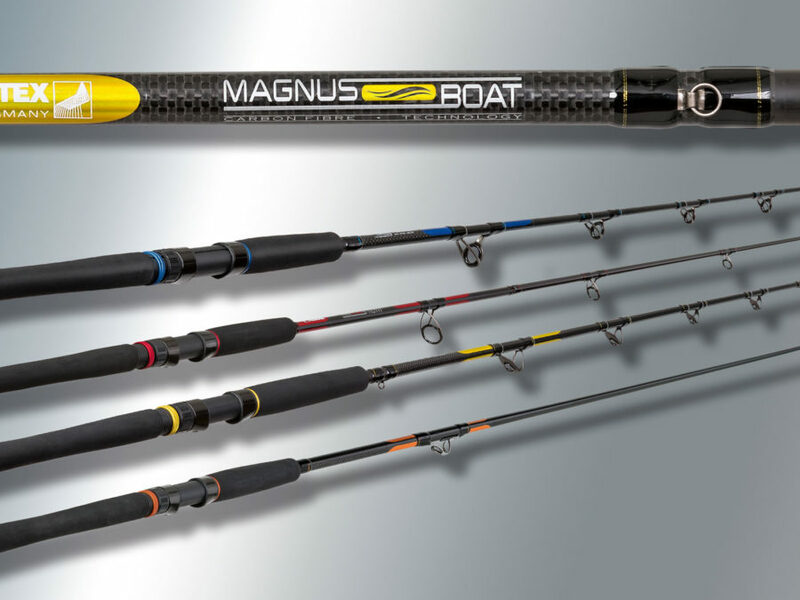 These new top-class rods are pushing back the boundaries like nothing that has gone before. 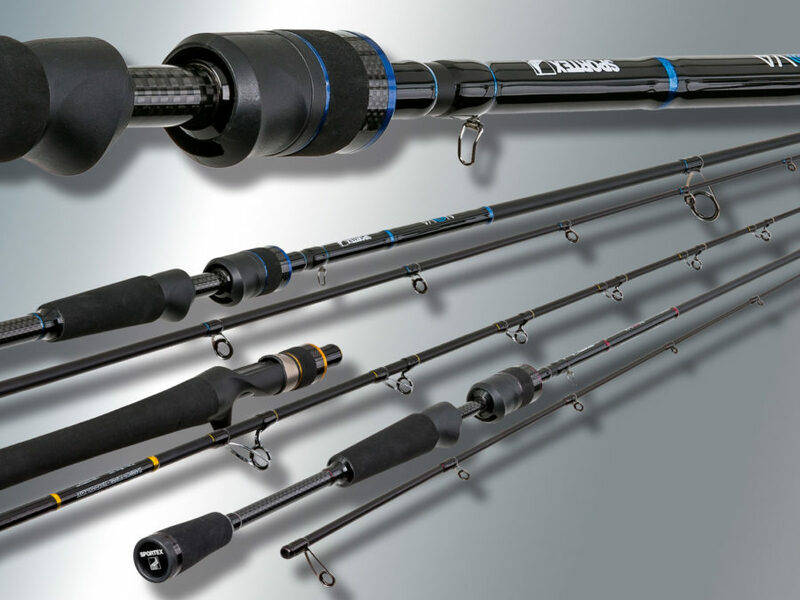 Flex of our predator rods you will find here. 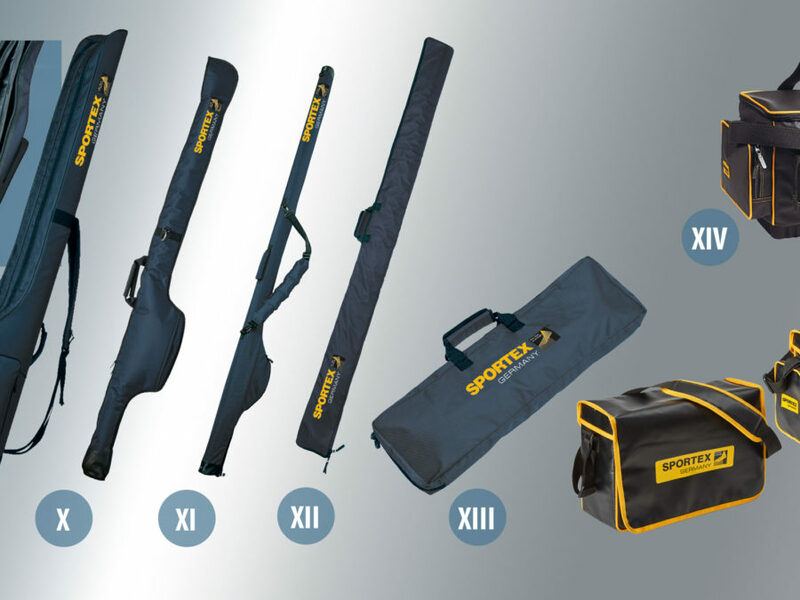 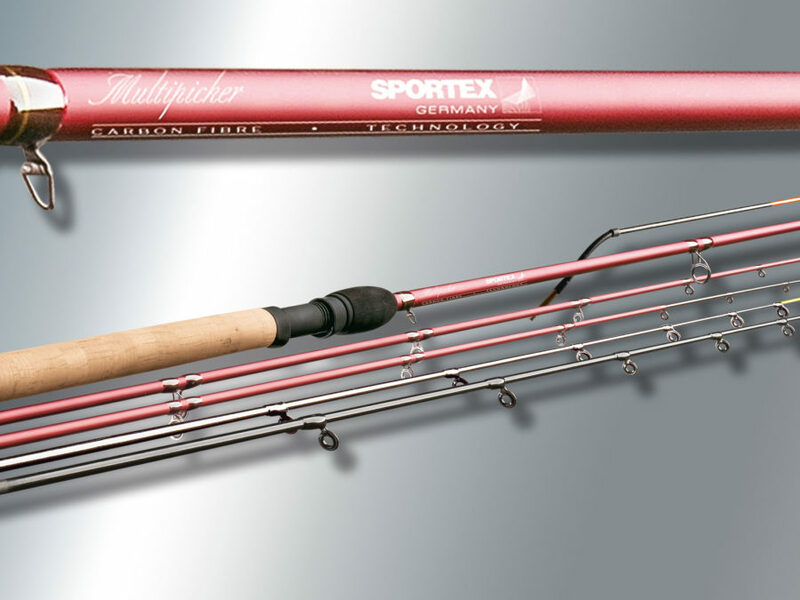 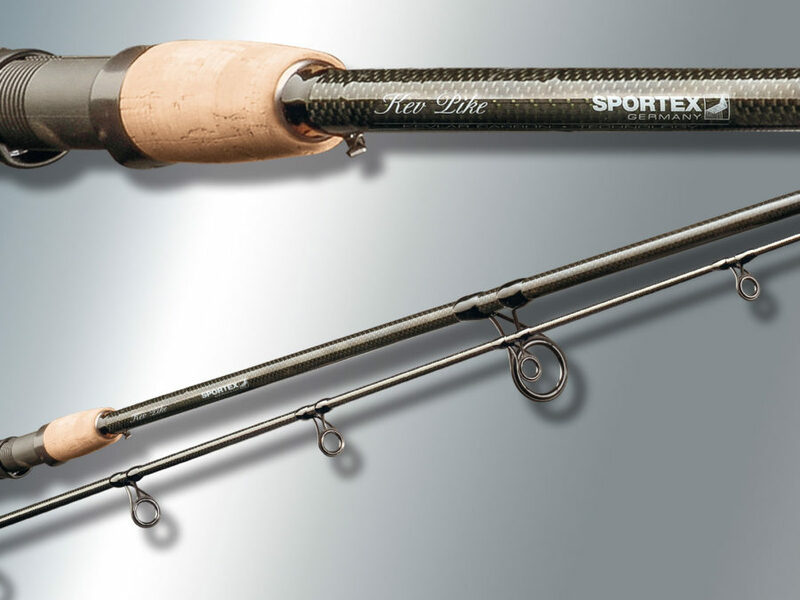 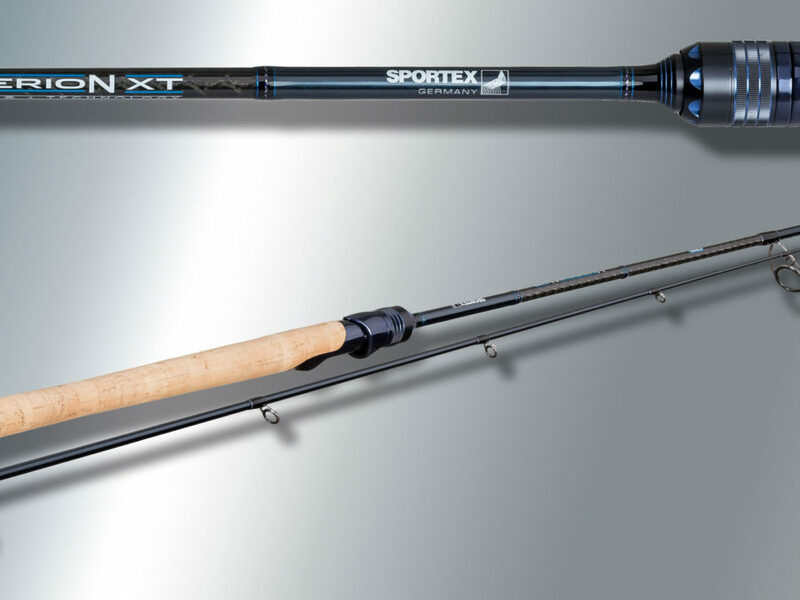 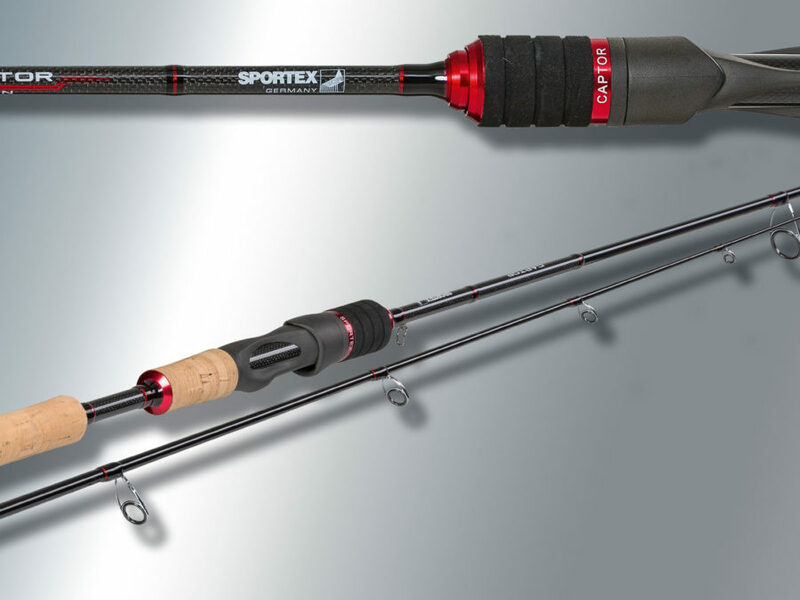 SPORTEX Carp rods – Throwing machines for almost limitless distances. 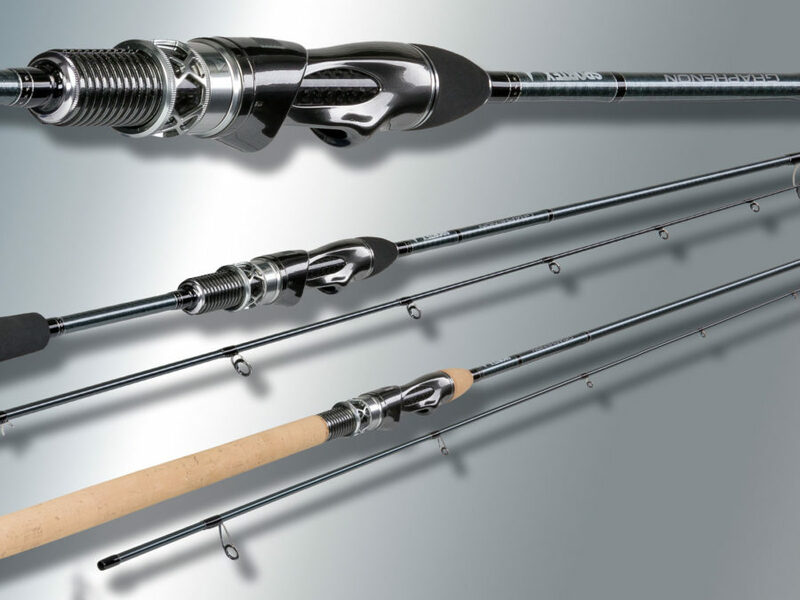 Pure elegance, the very latest in blank technology, and the ultimate in quality fittings. 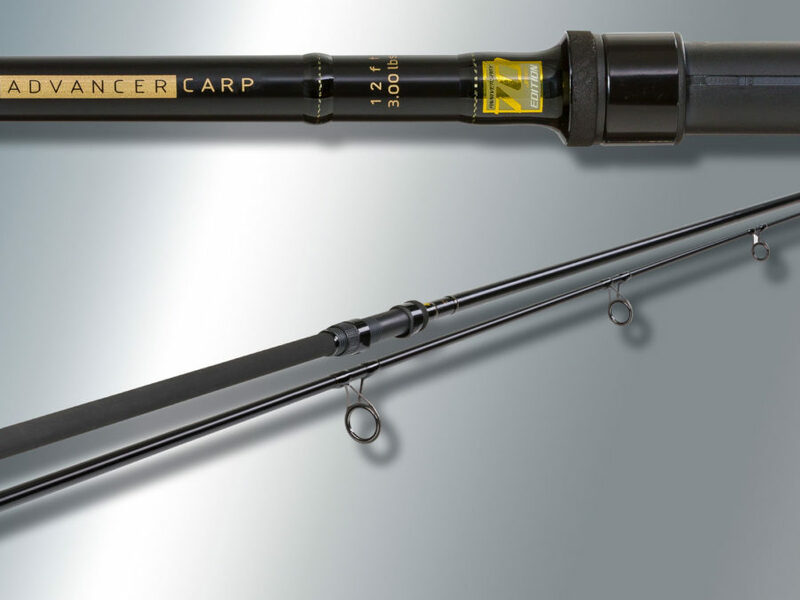 This is what sets our carp rods apart. 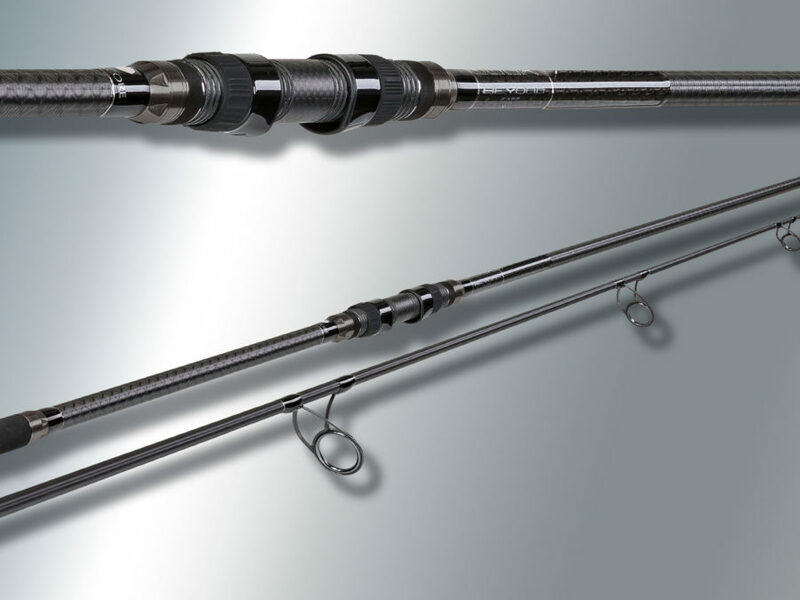 Whether you’re after a tricky character well off in the distance or a right fat toughie closer in, or even stalking the pair of them, we have the rod you need. 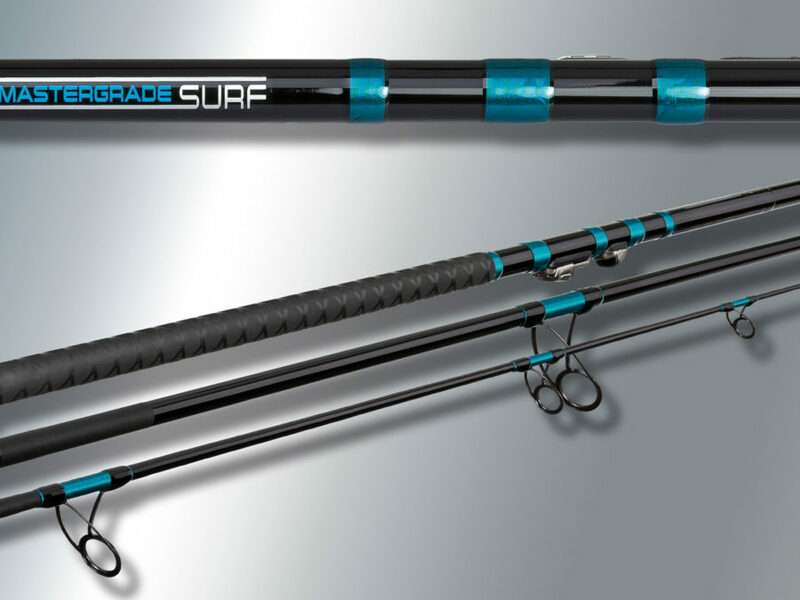 The semi-parabolic action of the blanks, made of the very finest carbon fibre materials, makes for the perfect deployment of power when the hard work – and the fun – really begins. 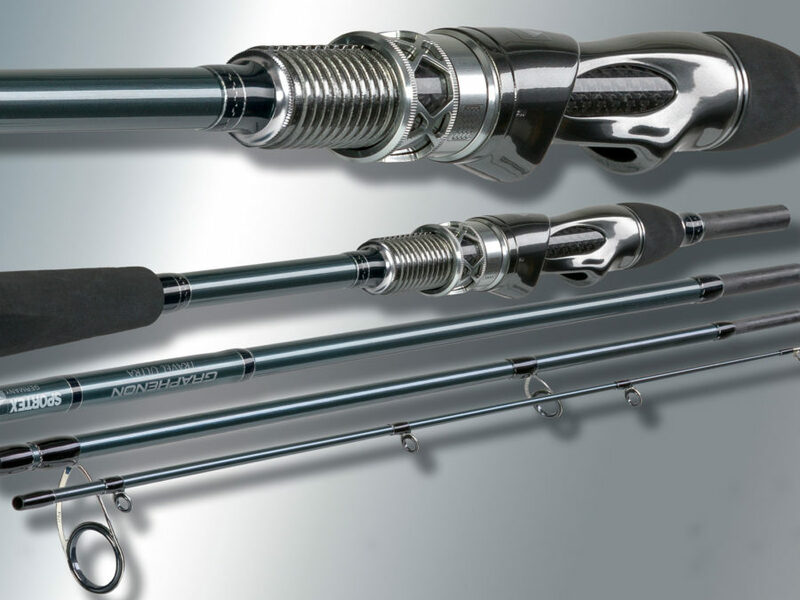 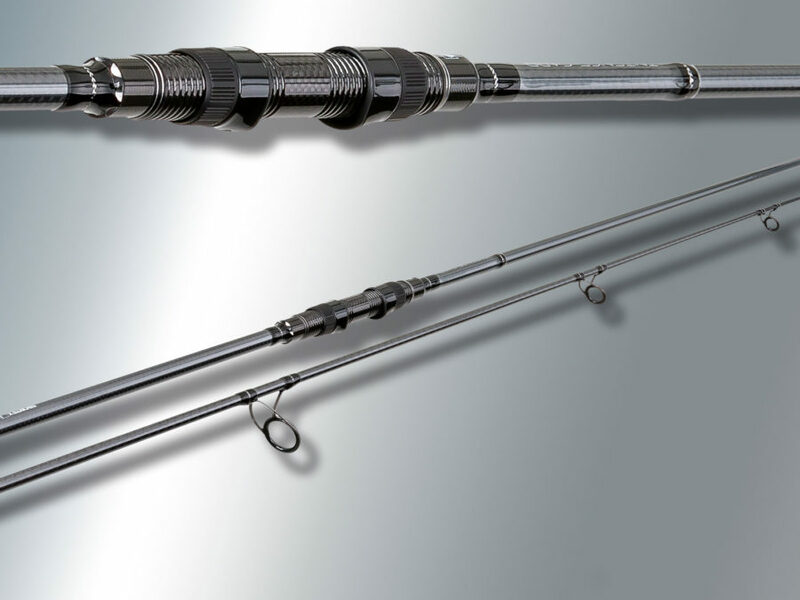 These are rods developed for people looking for something special. 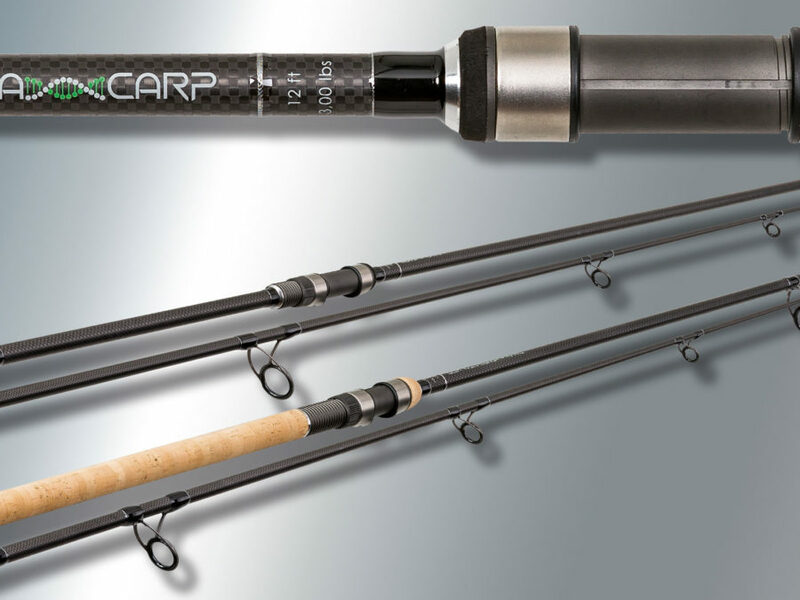 Flex of Carp rods you will find here. 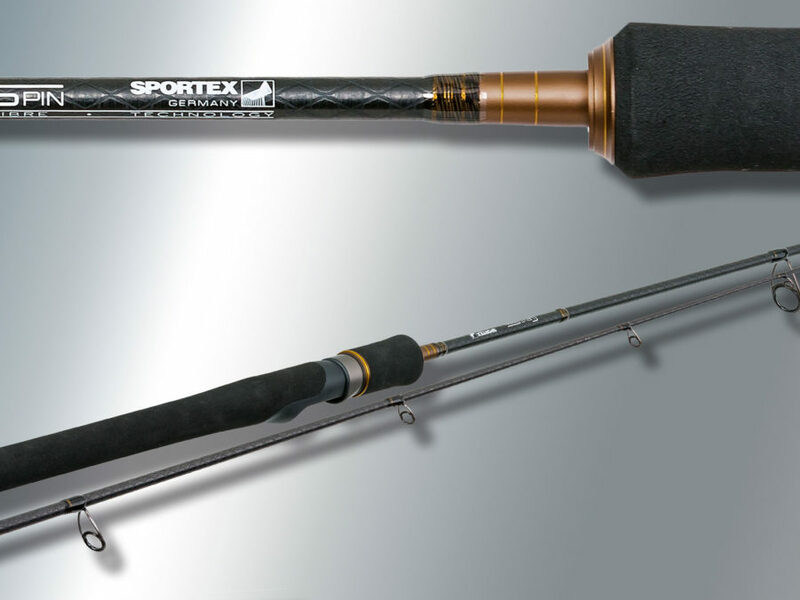 The blank of the SPORTEX catfish rod is made of top quality HM/IM carbon fibre material in conjunction with HT-Cross-Winding technology, which gives each rod tremendous stability and power. 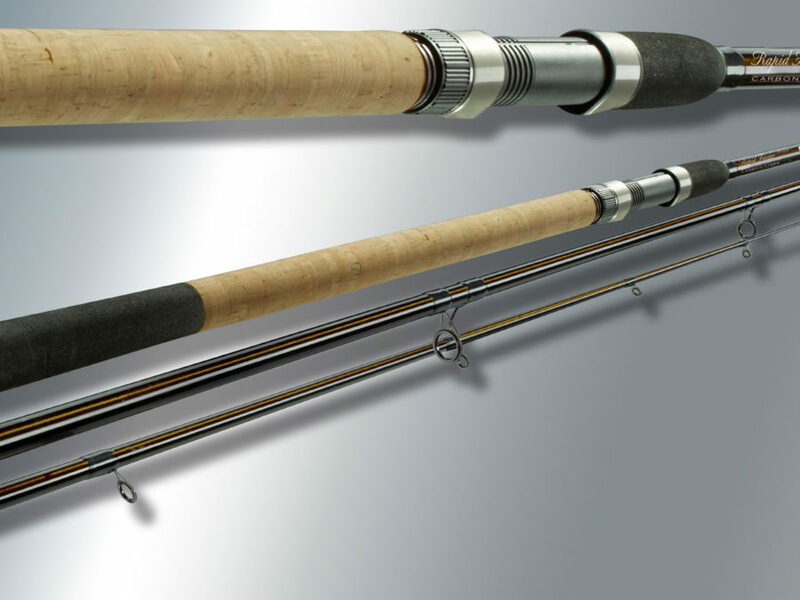 Our rods are specifically matched to particular situations, whether it’s boat fishing, jigging, buoy fishing or spinner angling. 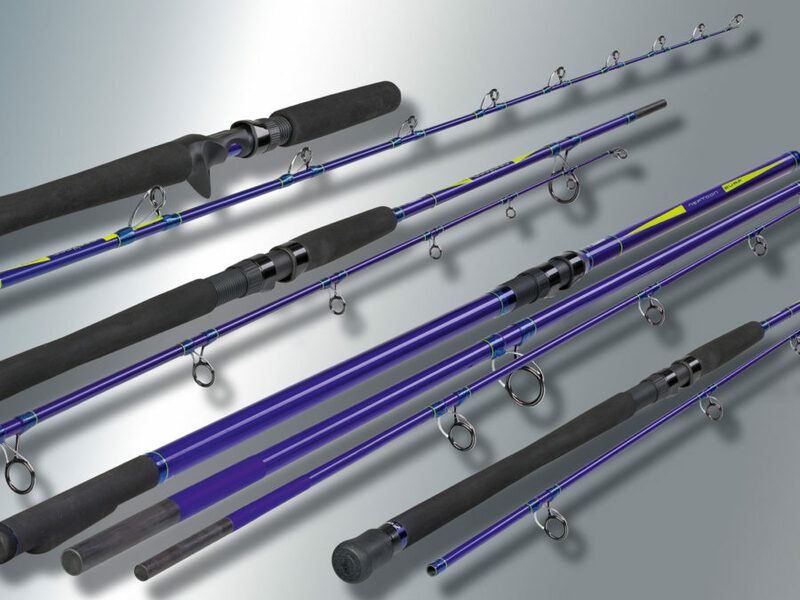 This means you always have the right rod for the job in hand. 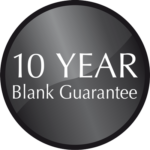 The new Turbo Cat series proofs this successfully. 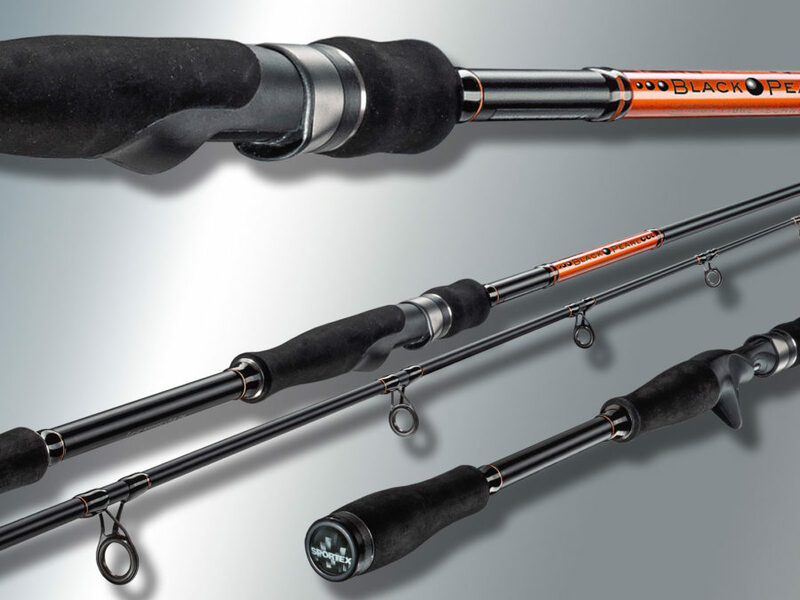 As an angler, you never have to worry about the rod in your hand. 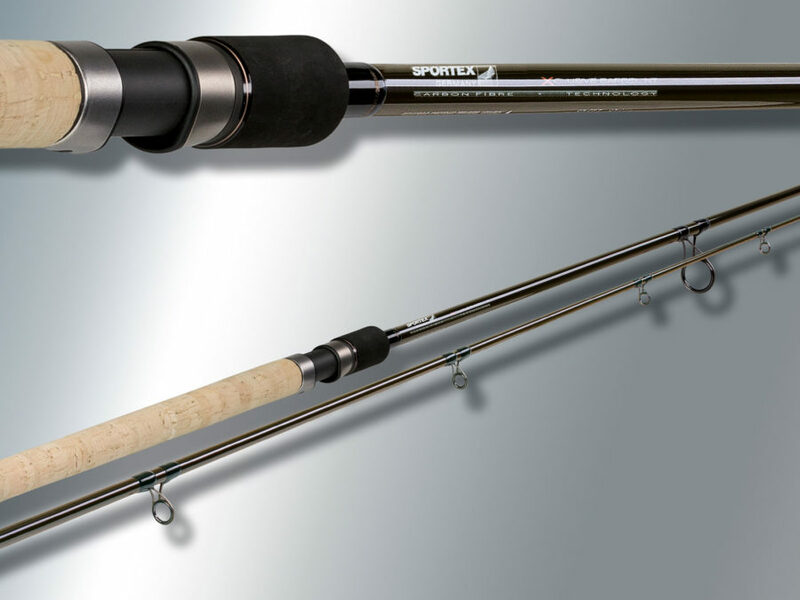 Instead you can concentrate fully on what’s really important: finding – and catching – those fish. 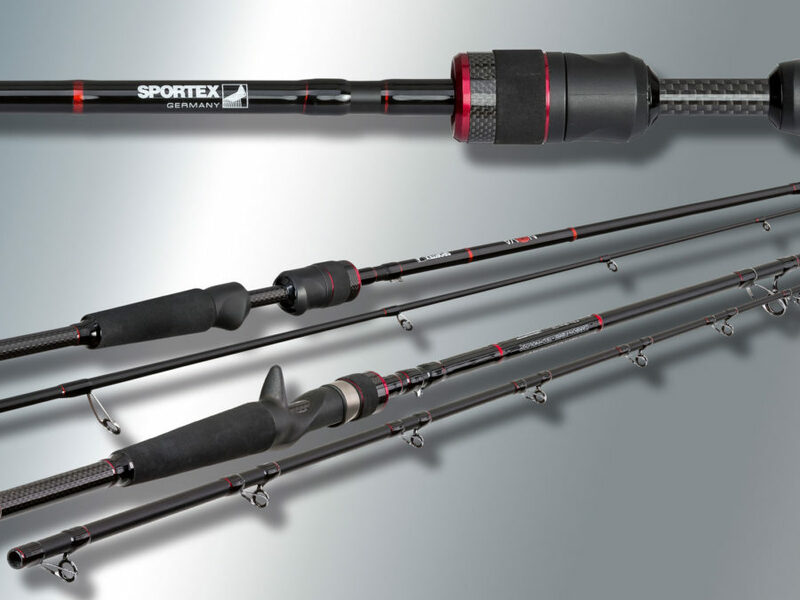 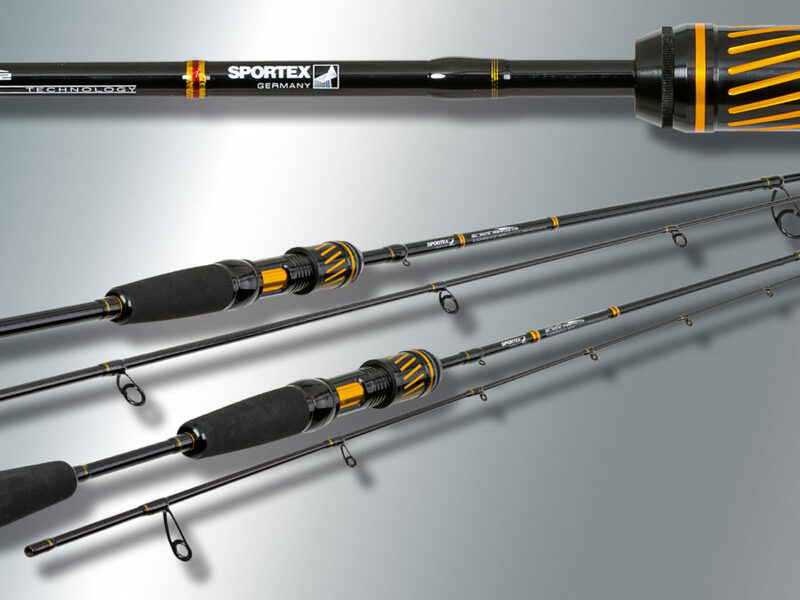 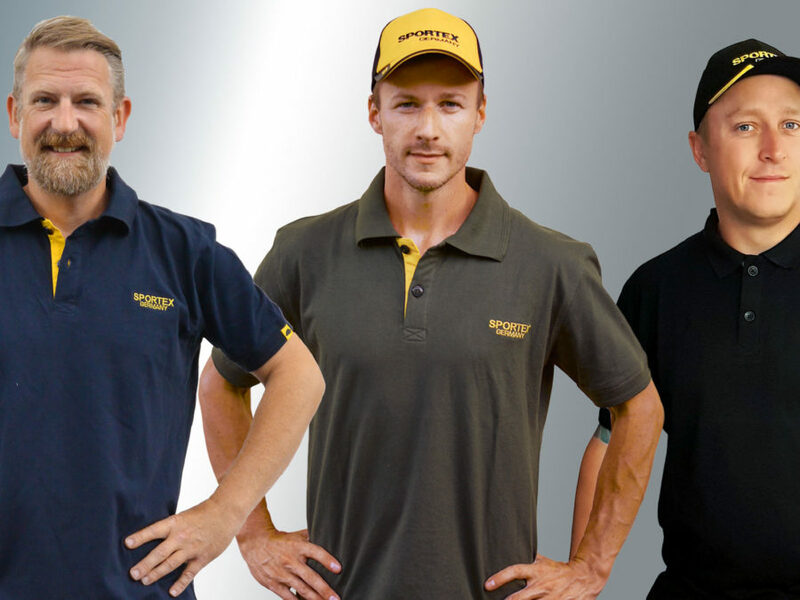 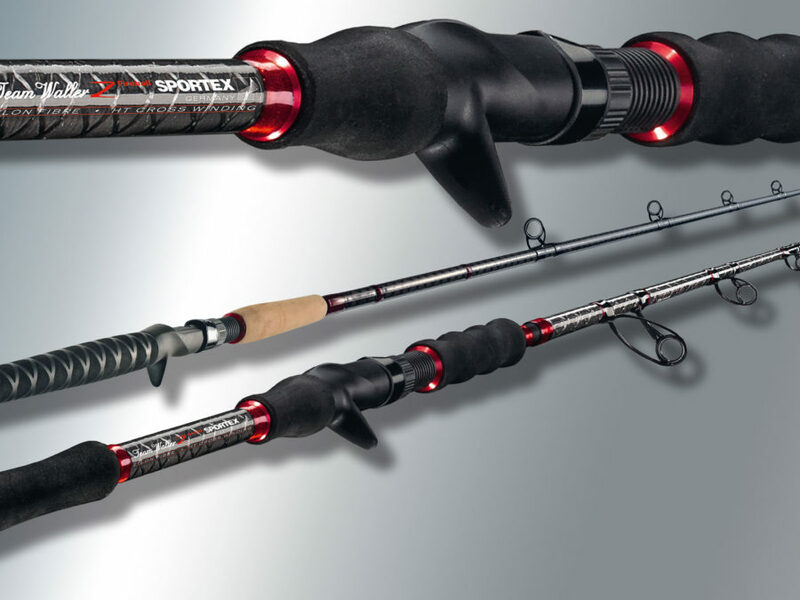 SPORTEX Sea rods – Power packages for the big fight. 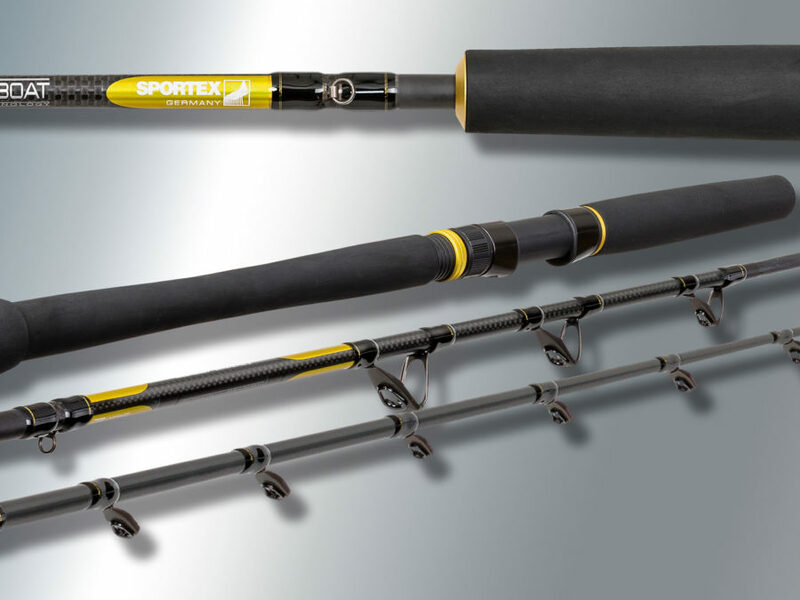 When it comes to handling the big boys of the world’s oceans, SPORTEX sea fishing rods are the perfect partners. 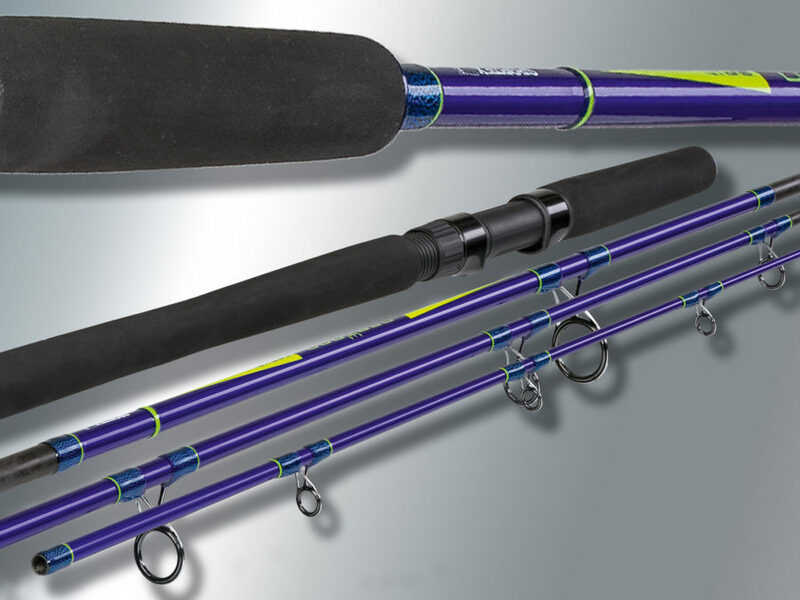 Whether you’re lure fishing, trolling, drifting or surf angling, the specially adapted lightweight blanks with the HT-Cross-Winding®technology have the powerful fast action you need to set you up for success. 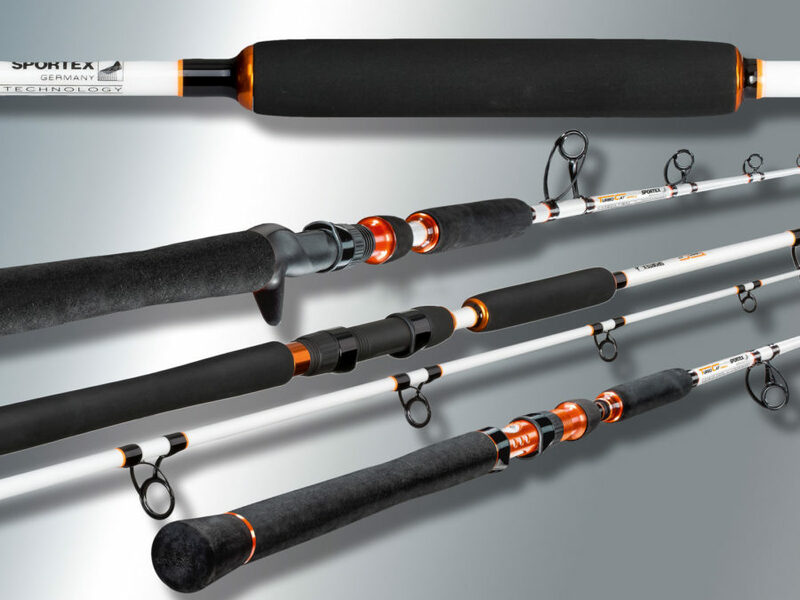 All the rods have an extremely tough reel holder, top quality SIC guides, and ergonomically adjusted handles made of the best Duplon material. 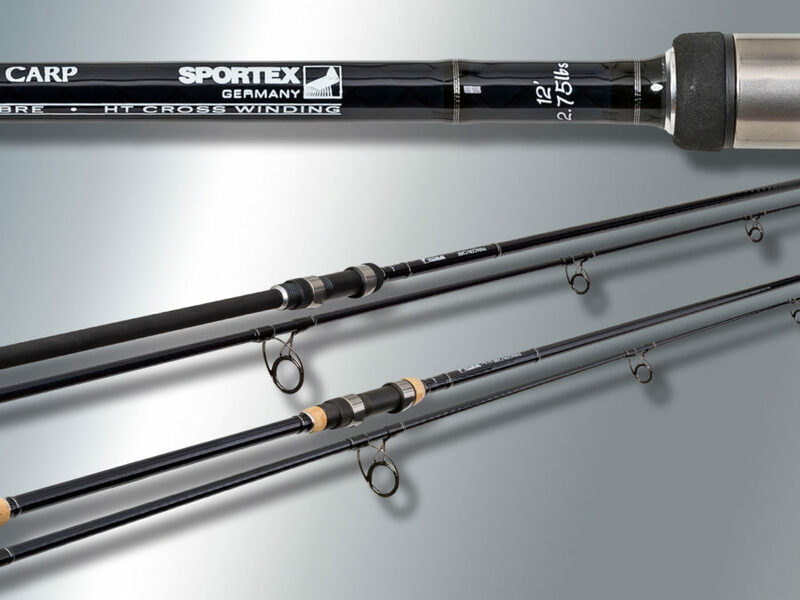 With their combined features, these are real masterpieces for sea fishing from land or boat, with artificial and natural baits. 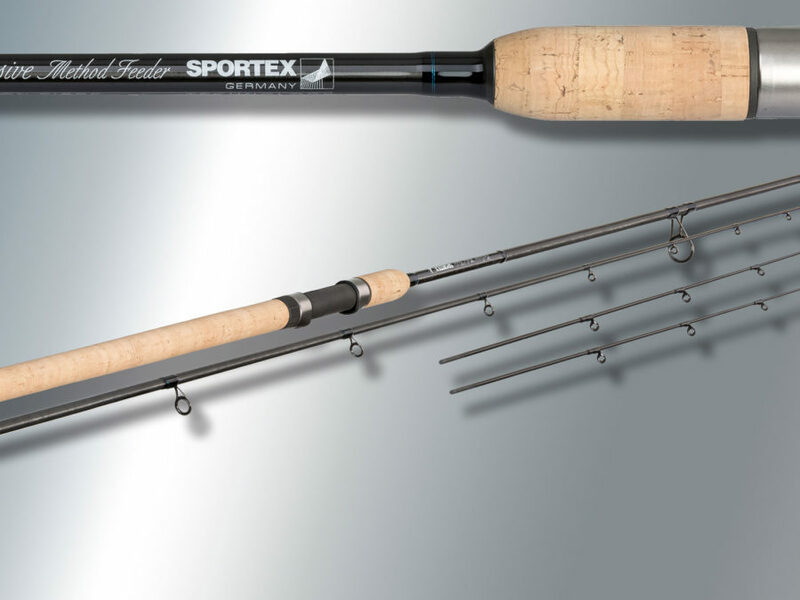 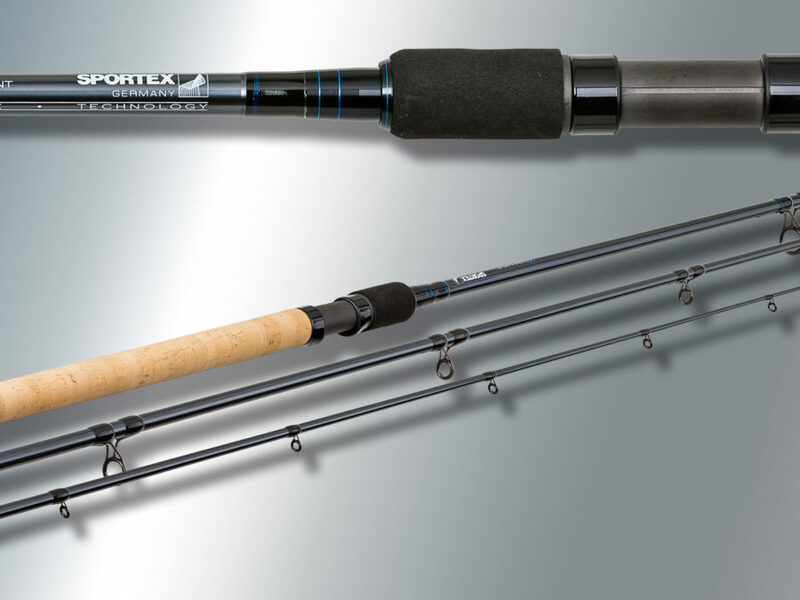 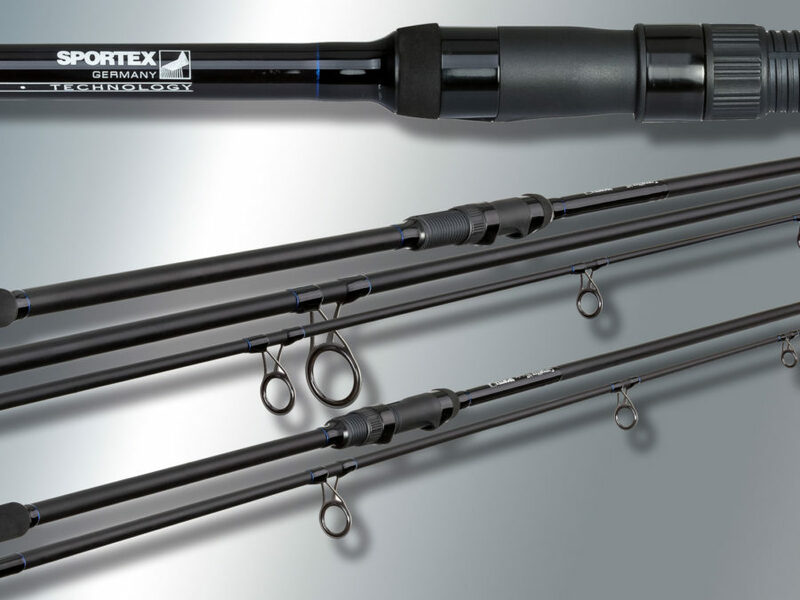 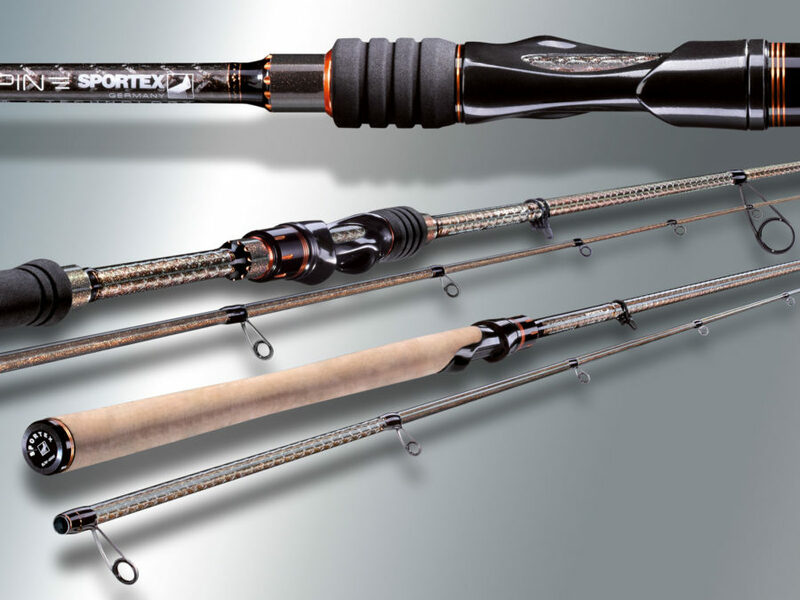 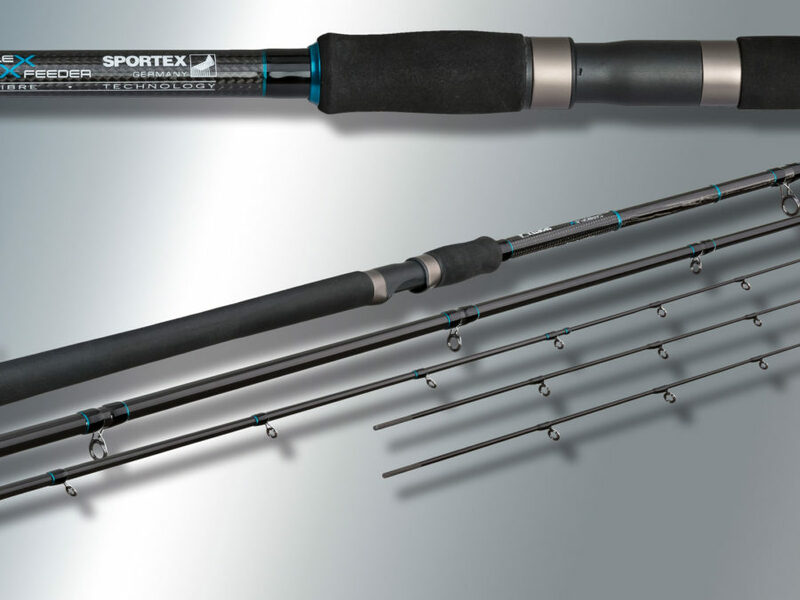 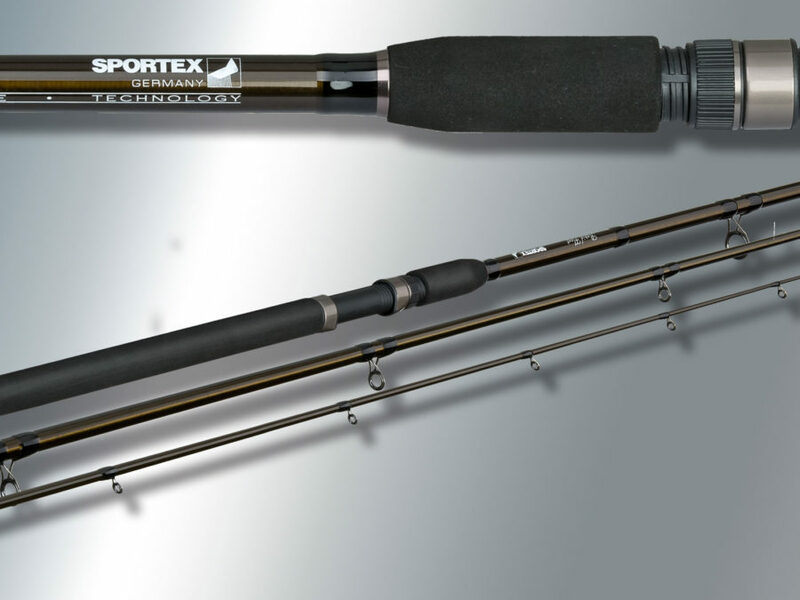 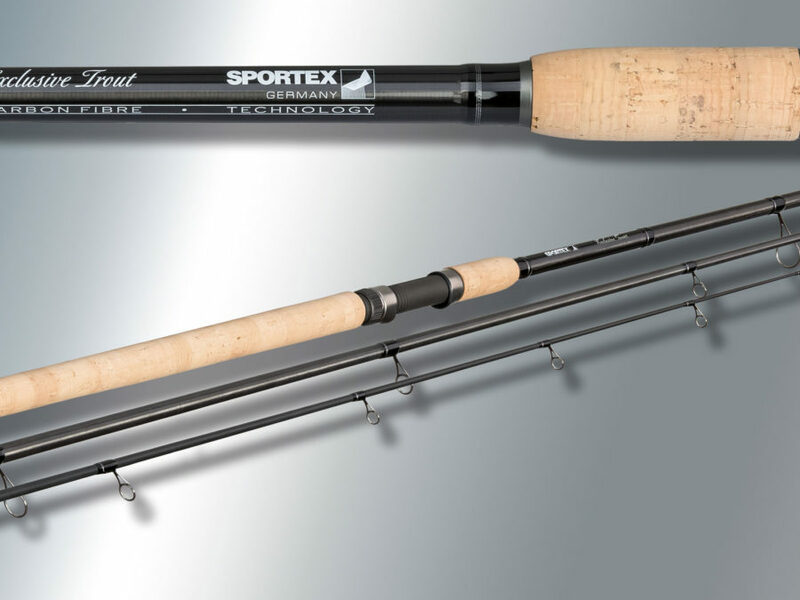 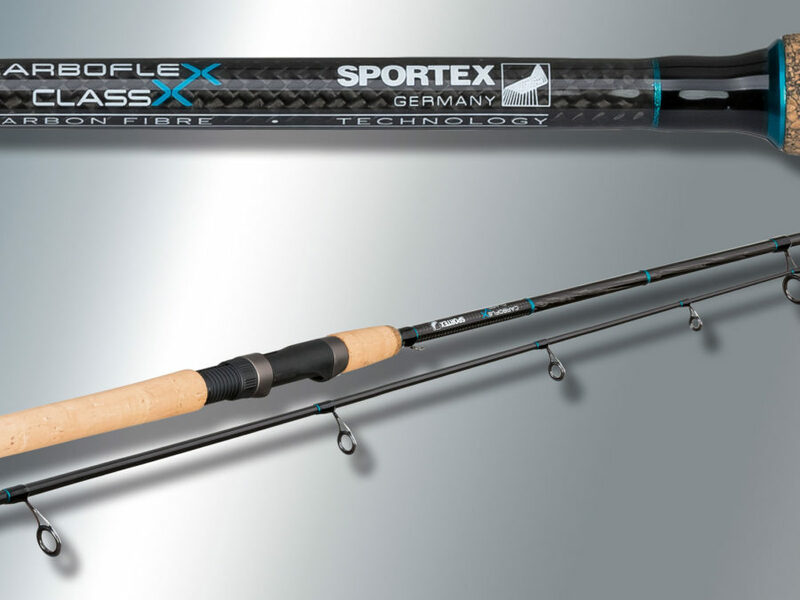 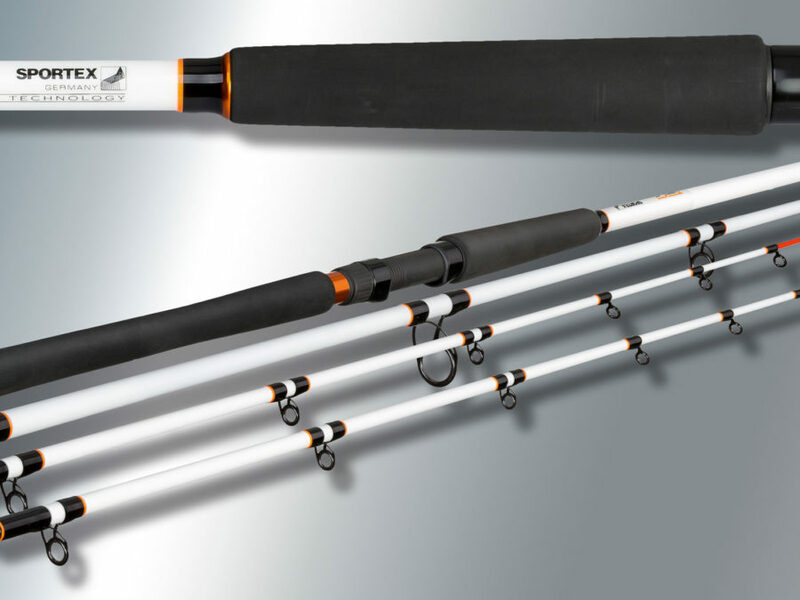 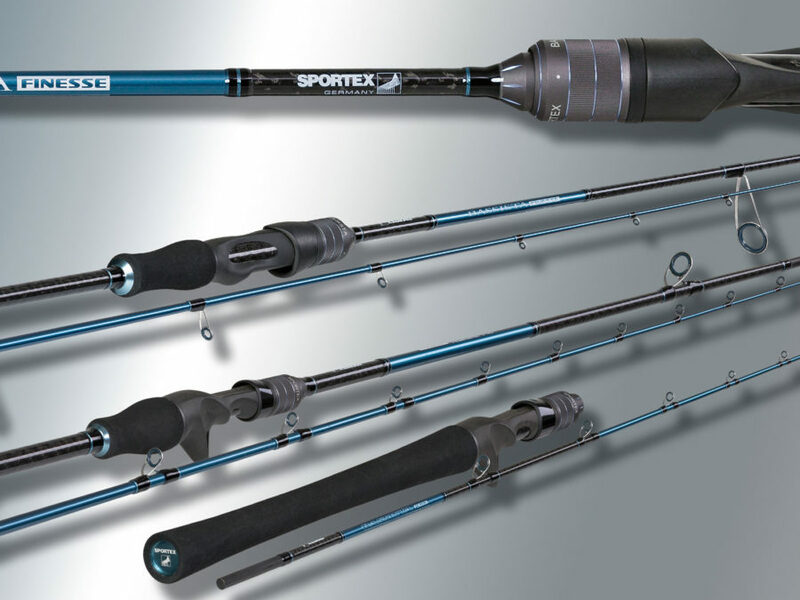 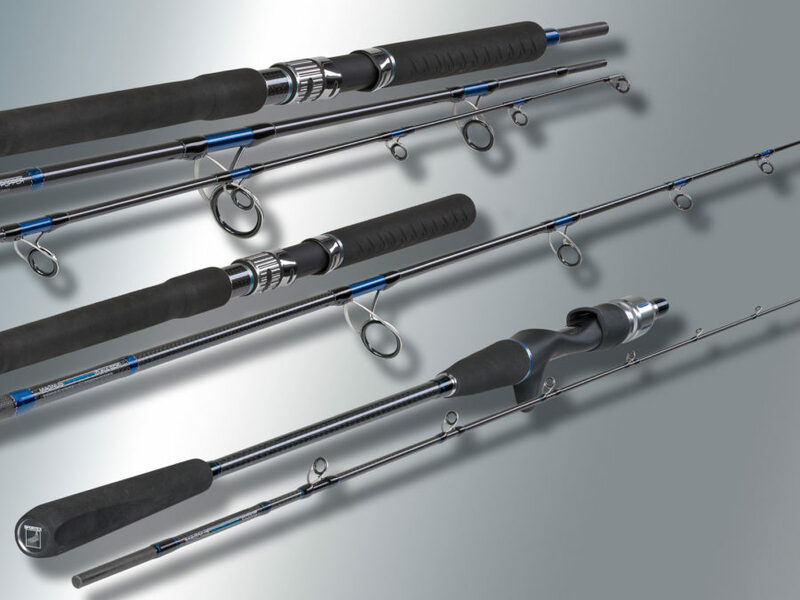 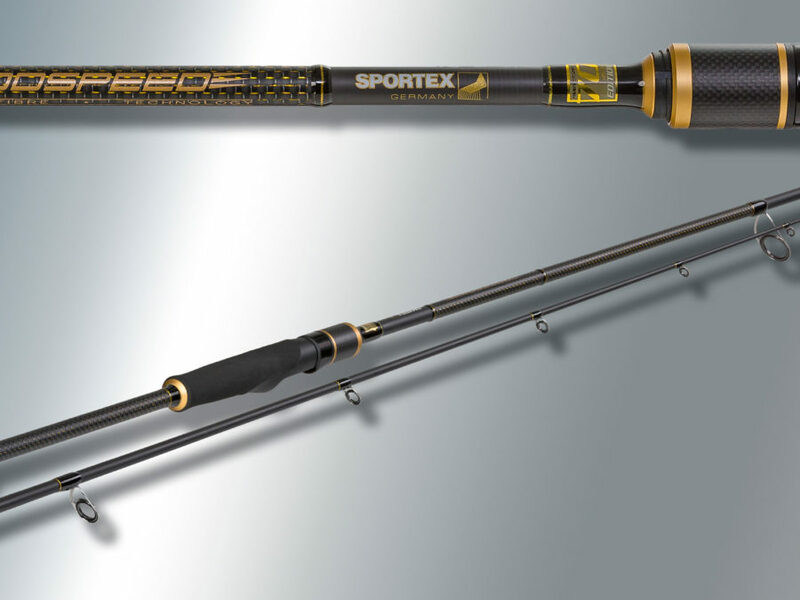 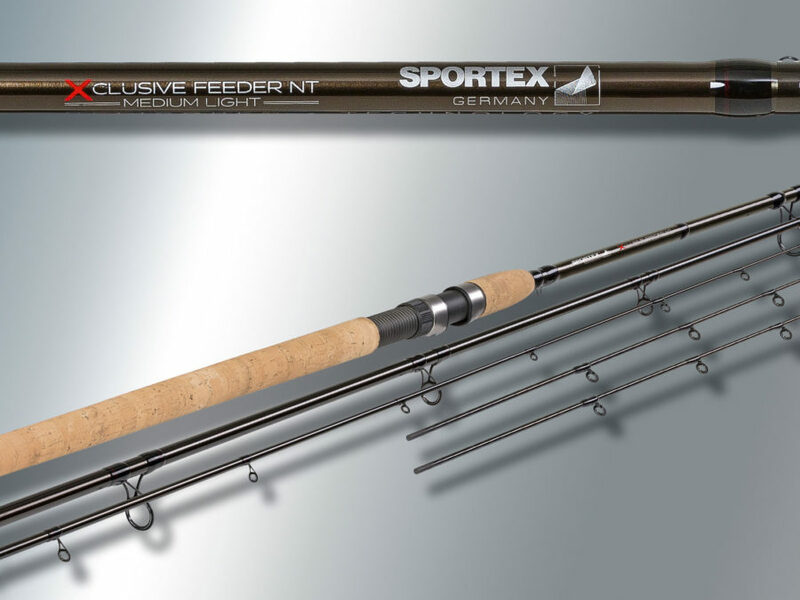 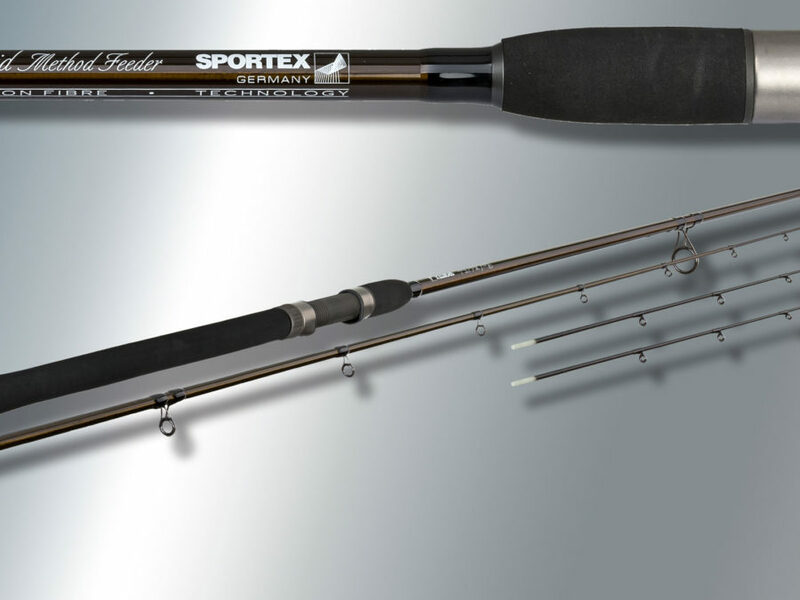 SPORTEX Coarse rods – Fast and light for playing fish perfectly. 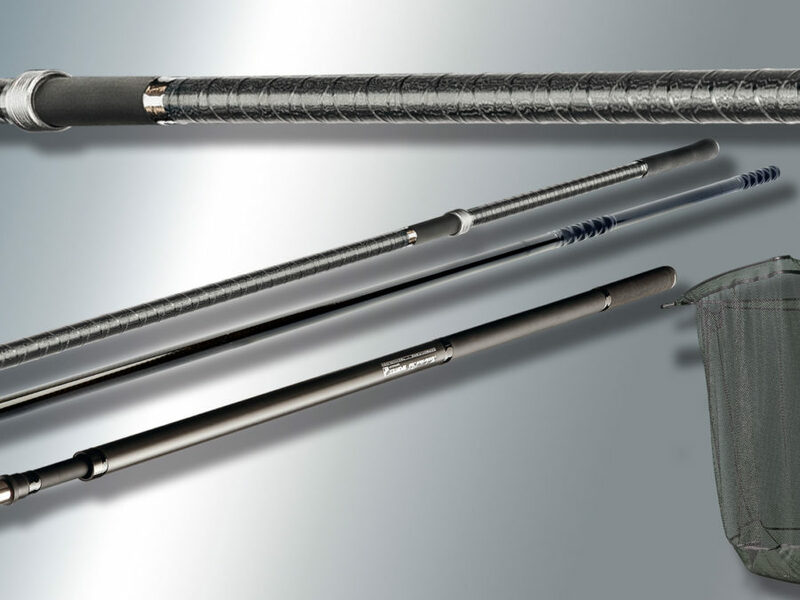 When we designed our rods for coarse fishing, we made sure to use materials that are extremely light – and extremely tough. 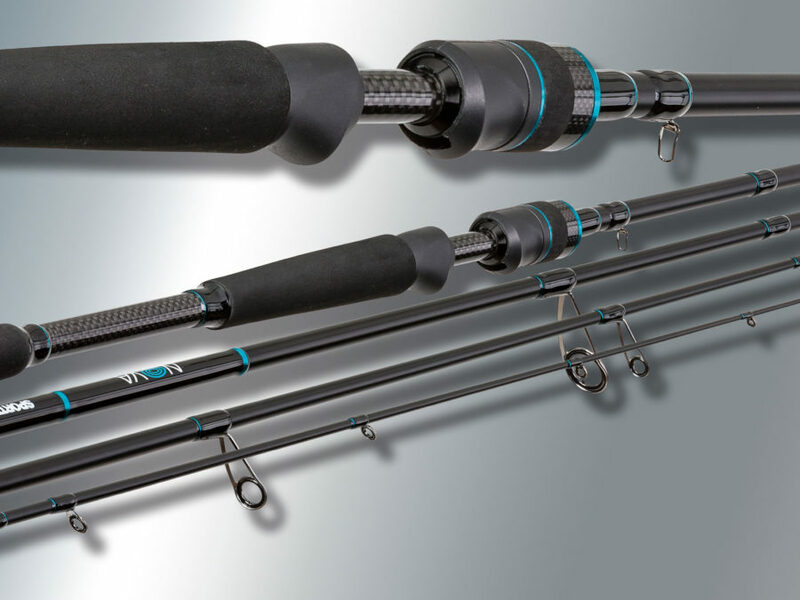 The slim and very lightweight blanks made of optimized HM carbon fibre material ensure that the rods provide a really fast and powerful action, allowing you to reliably steer even the biggest fish out of the current to where you want them. 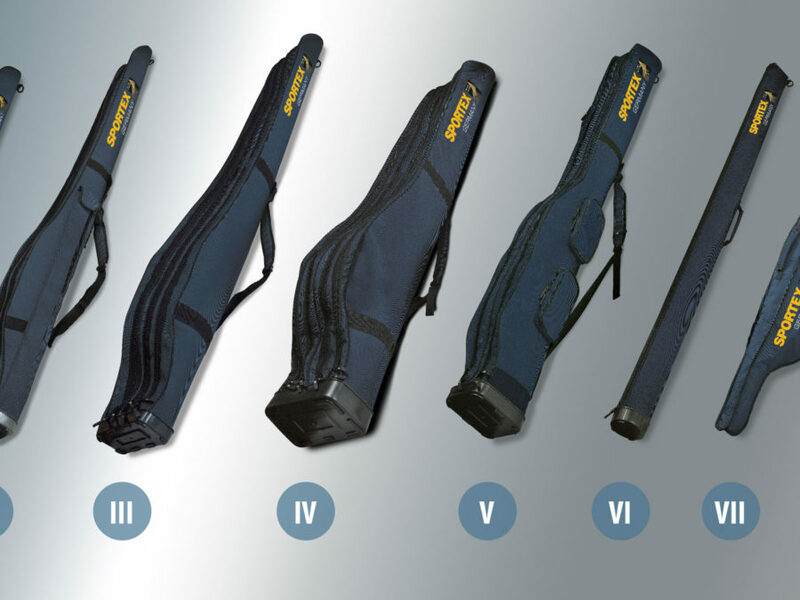 And the specially developed sensitive tips signal every single take, leading to more landings. 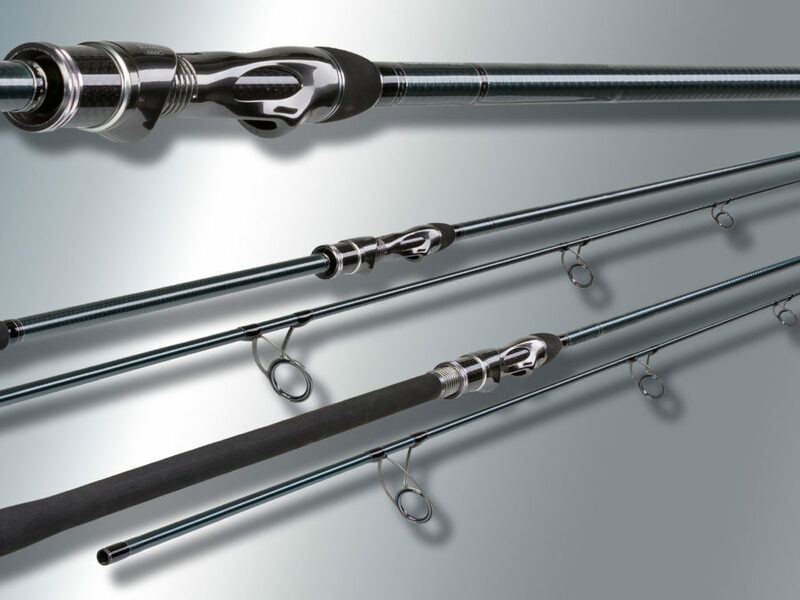 These are our very best rods, your partners for success with coarse fish in lakes or rivers.